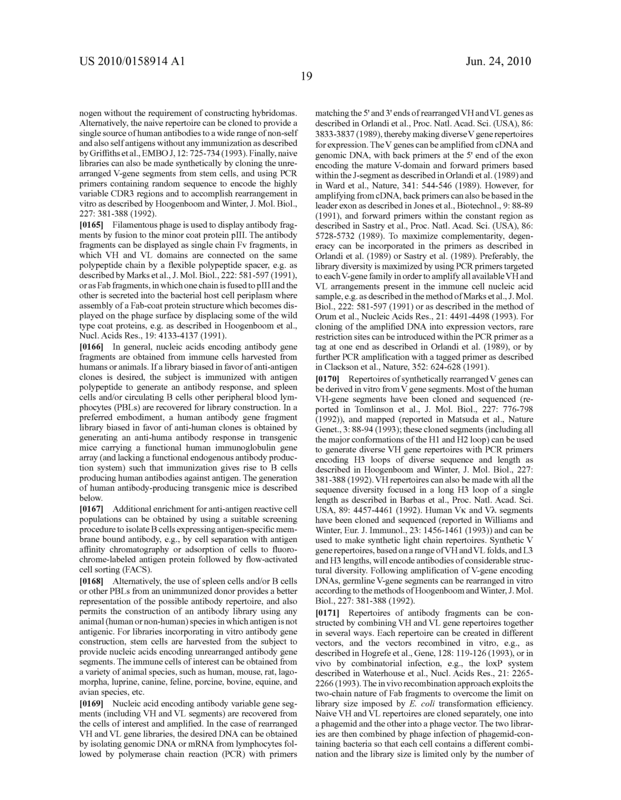 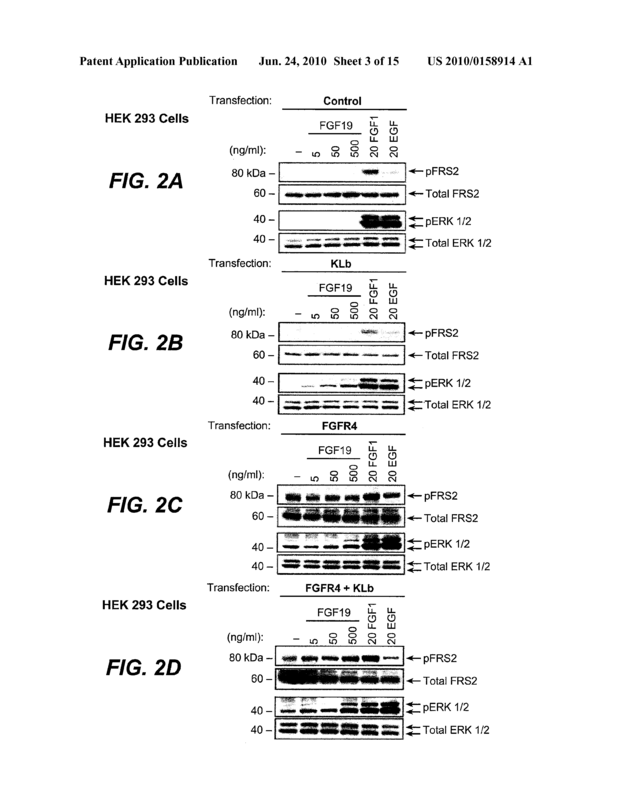 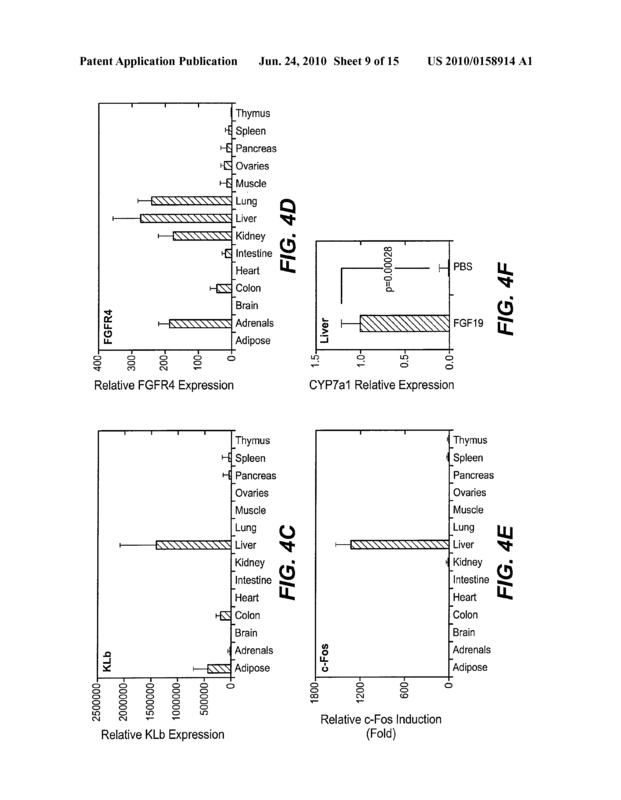 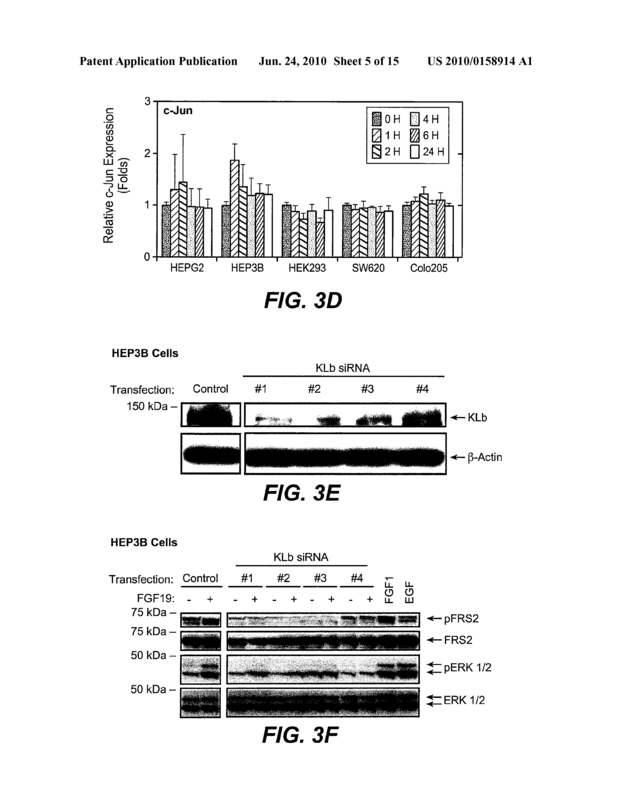 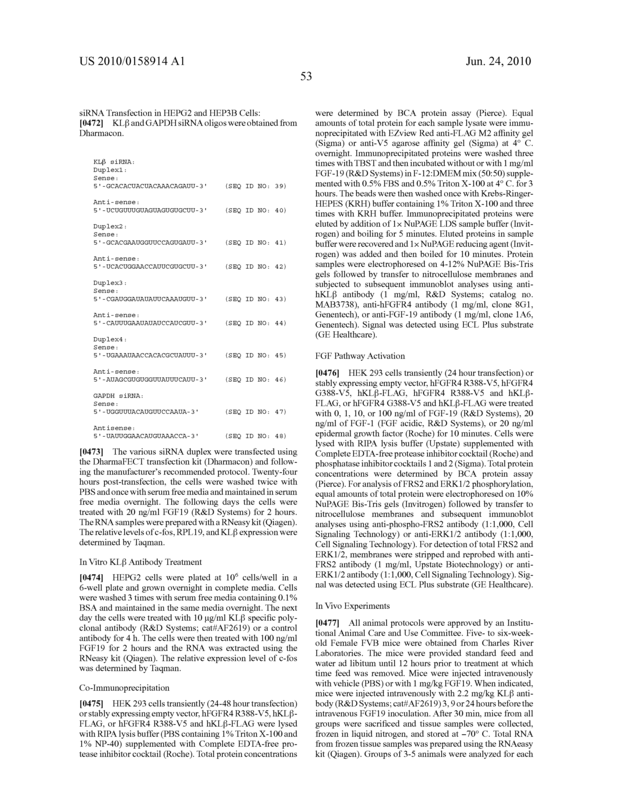 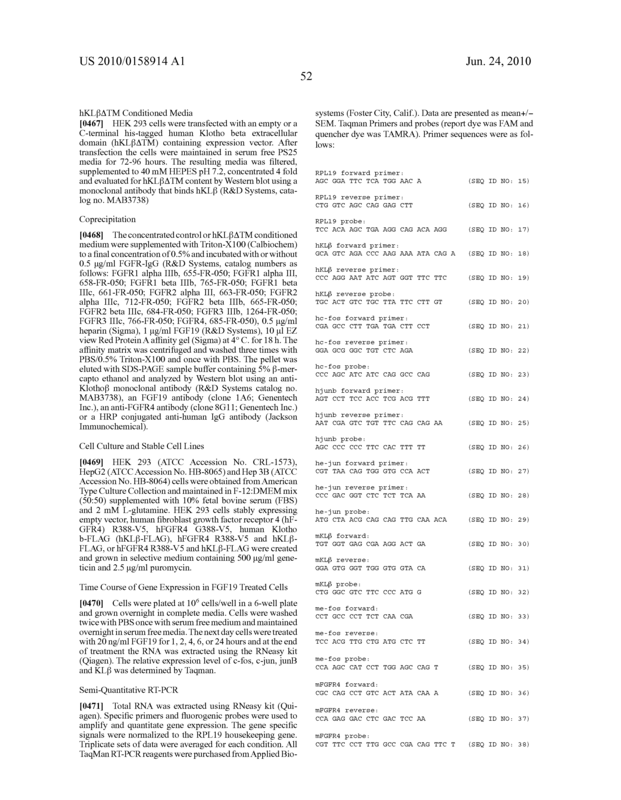 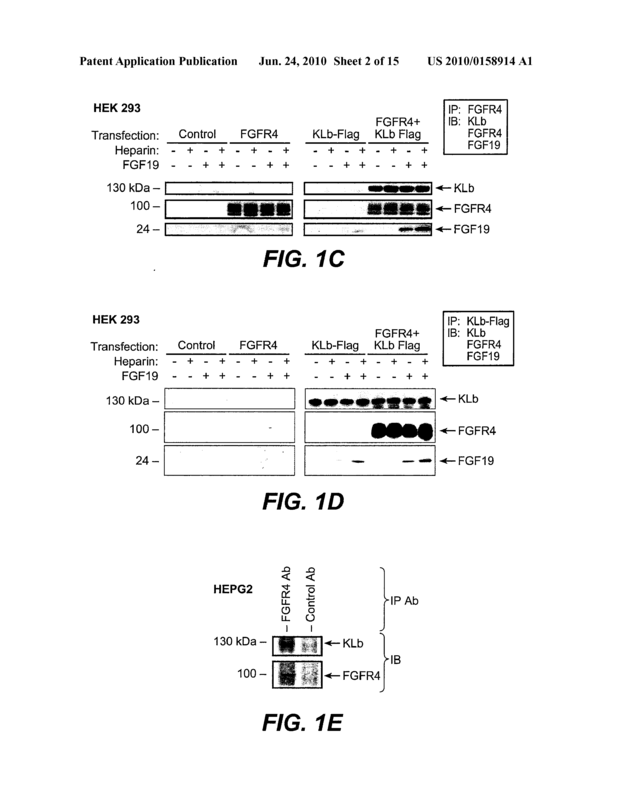 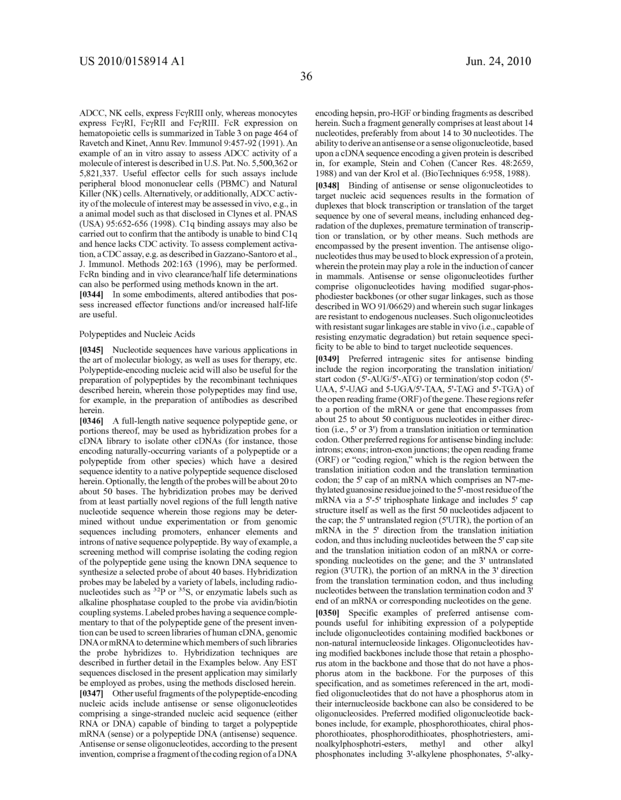 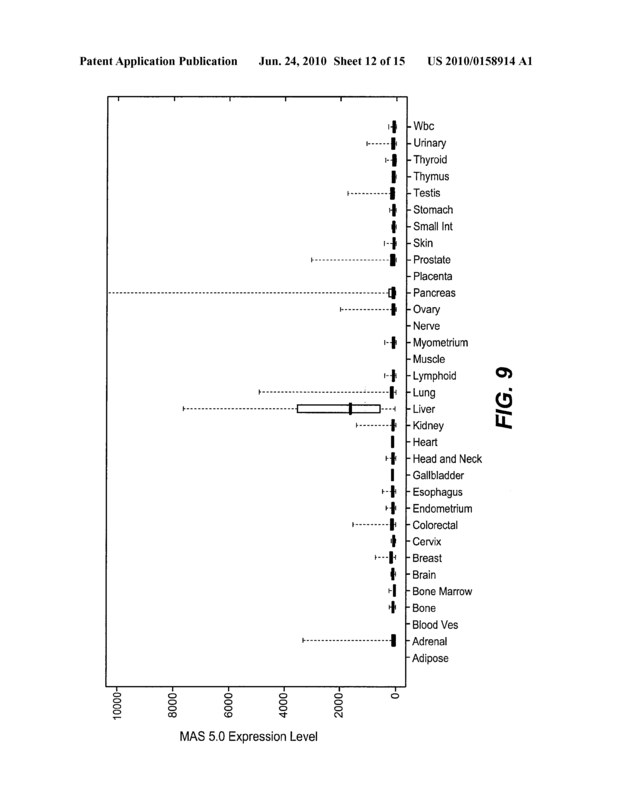 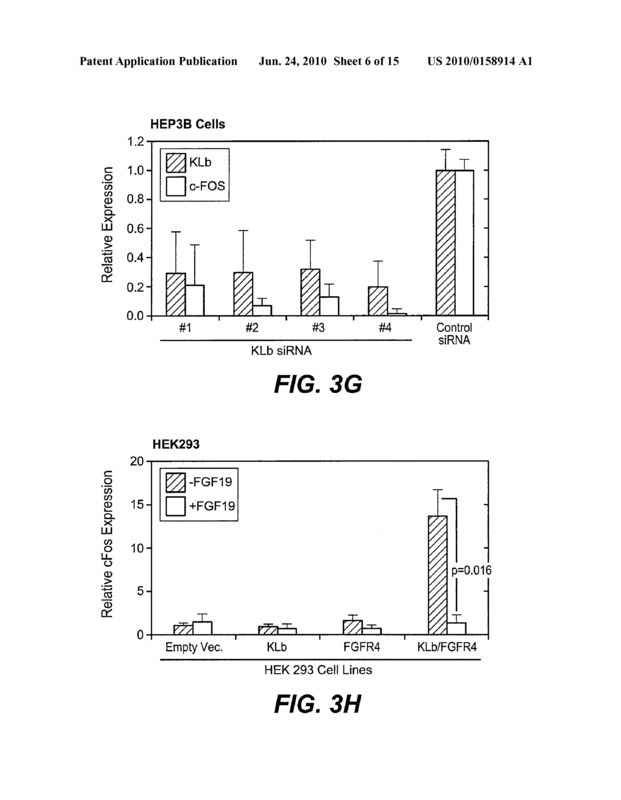 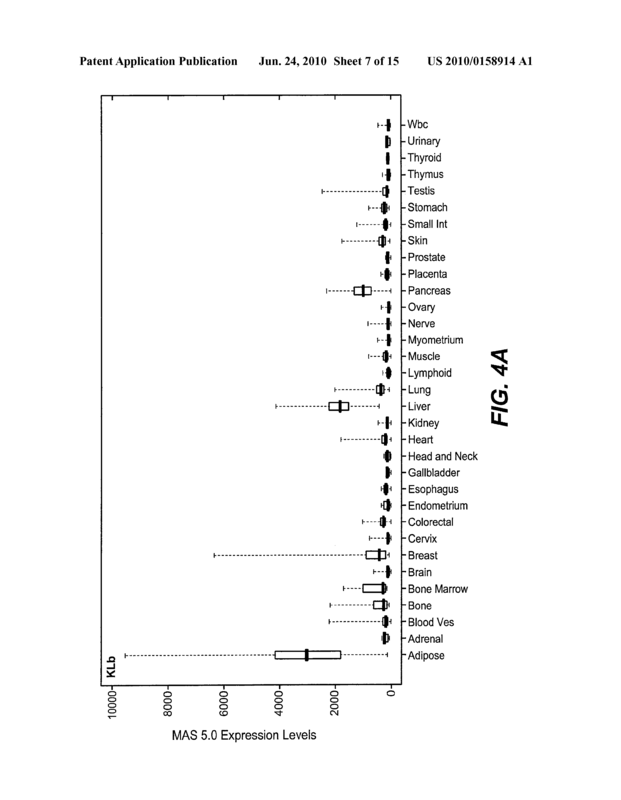 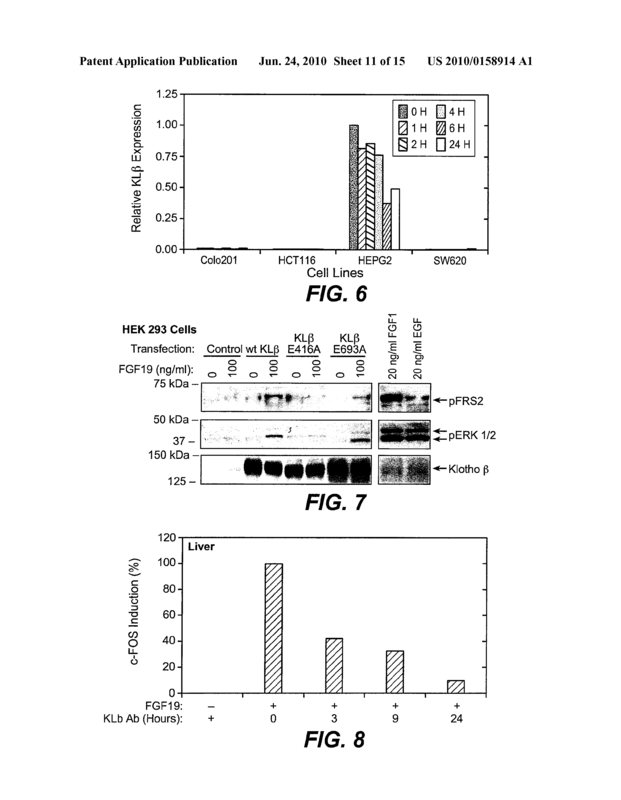 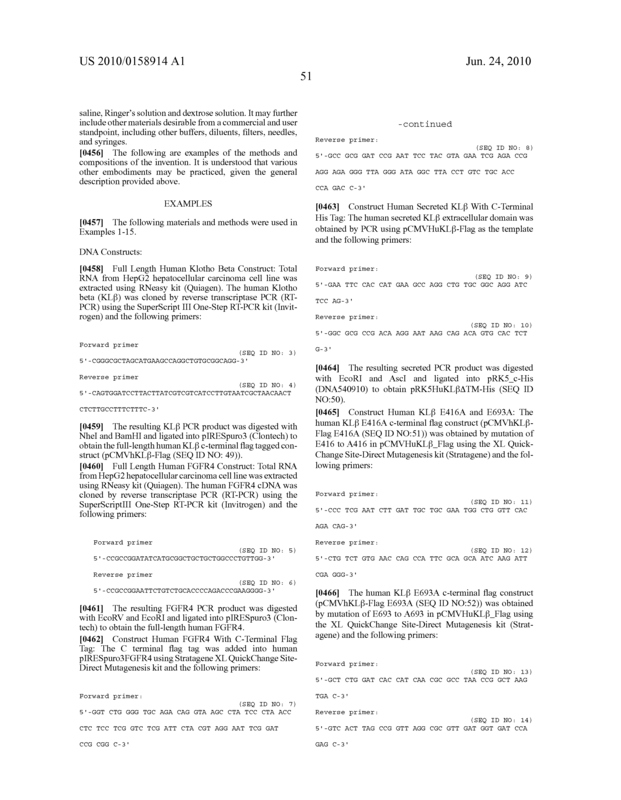 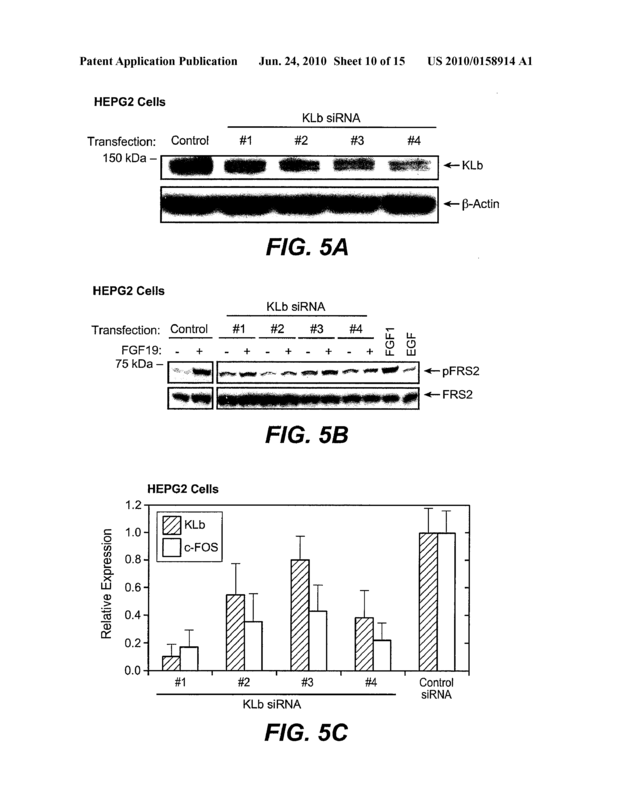 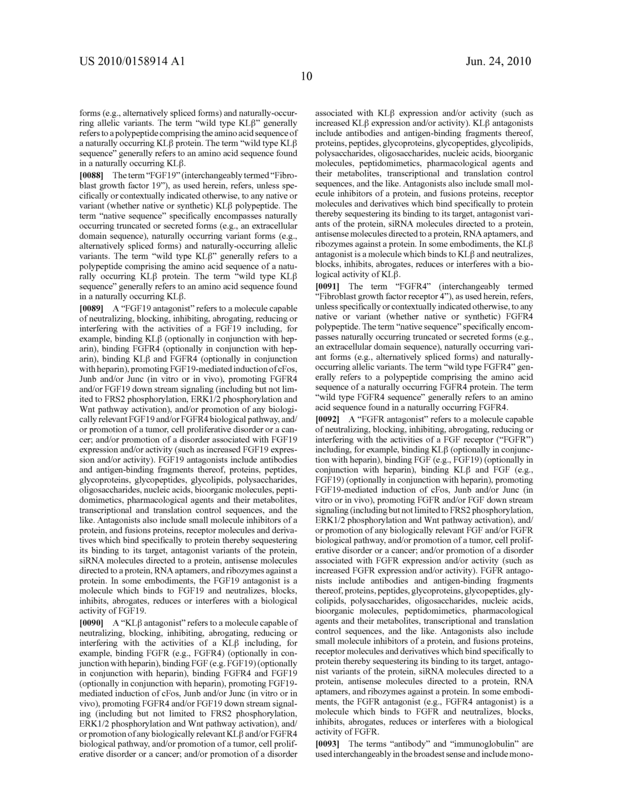 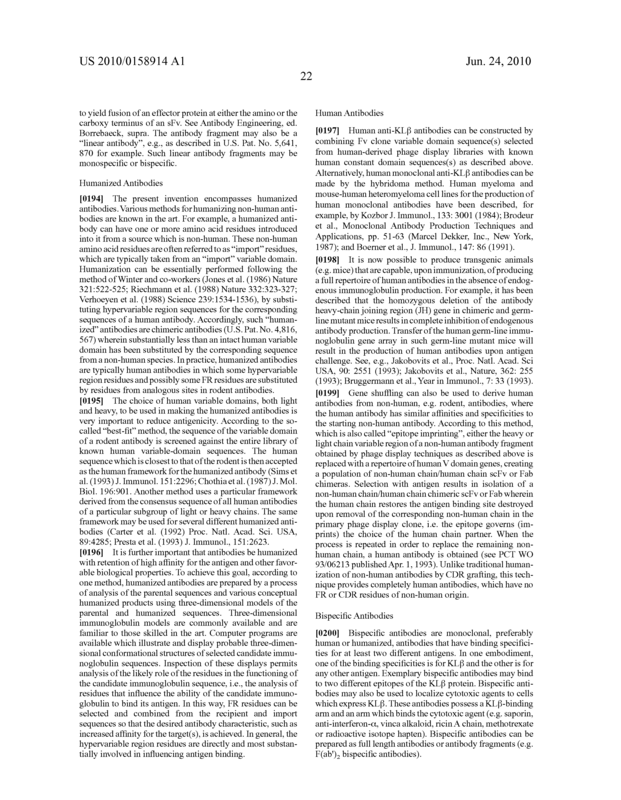 The invention concerns uses of anti-KLβ agents, and detection of KLβ and/or FGF19 and/or FGFR4. 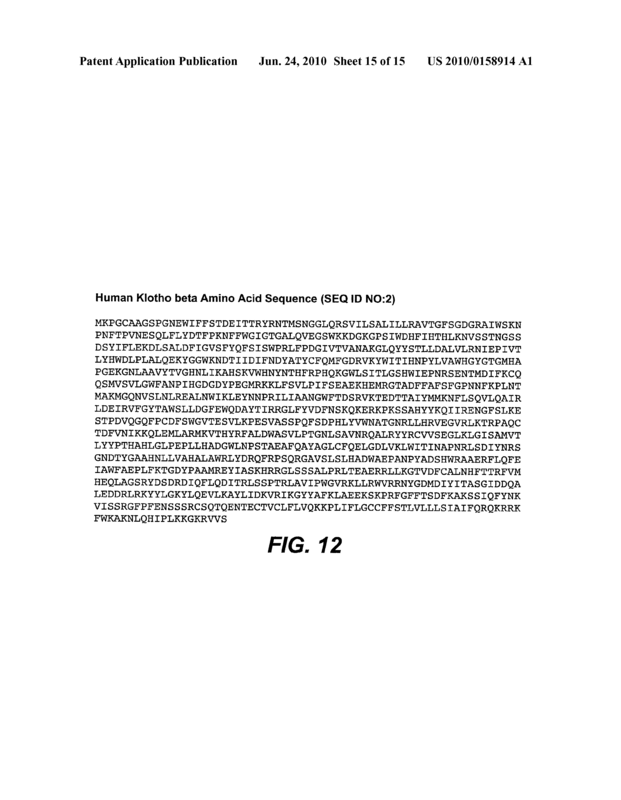 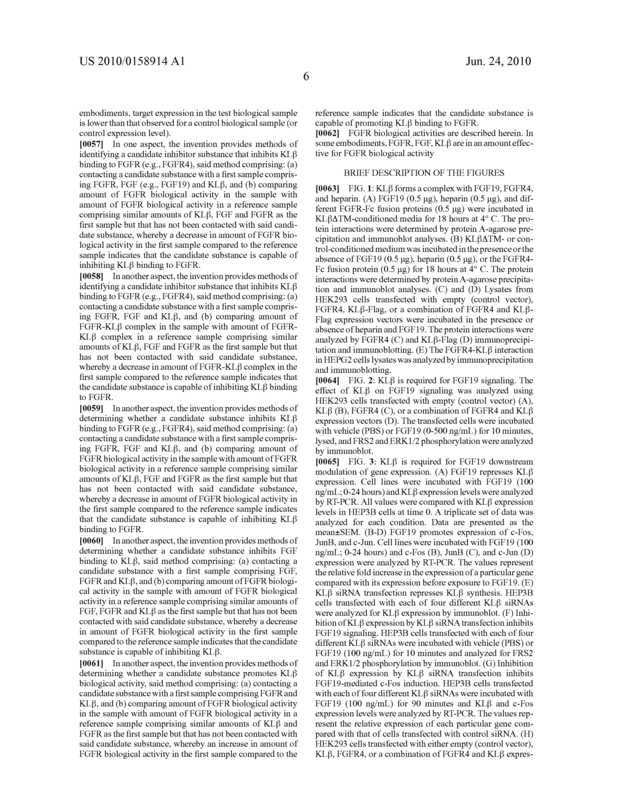 A method for modulating a disorder associated with expression or activity of KLβ, the method comprising administering an effective amount of a KLβ modulator to an individual in need of such treatment. 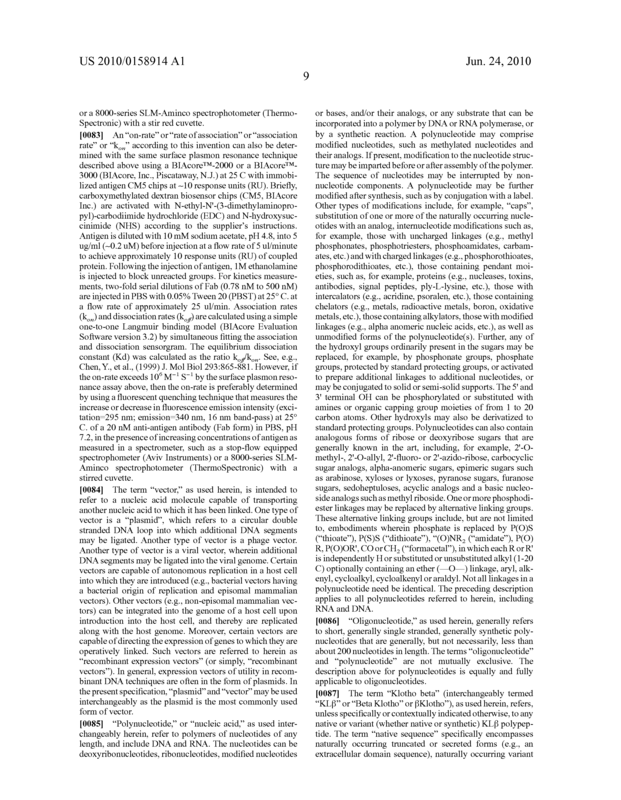 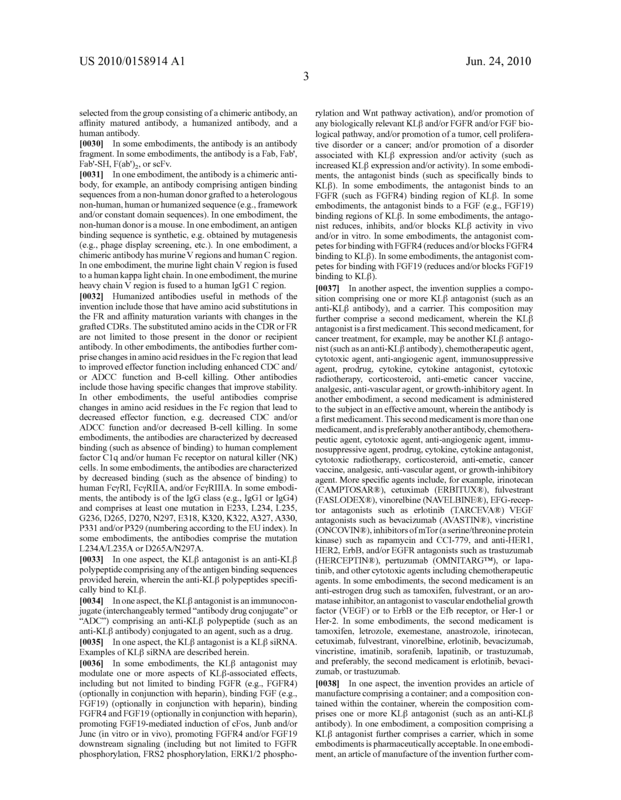 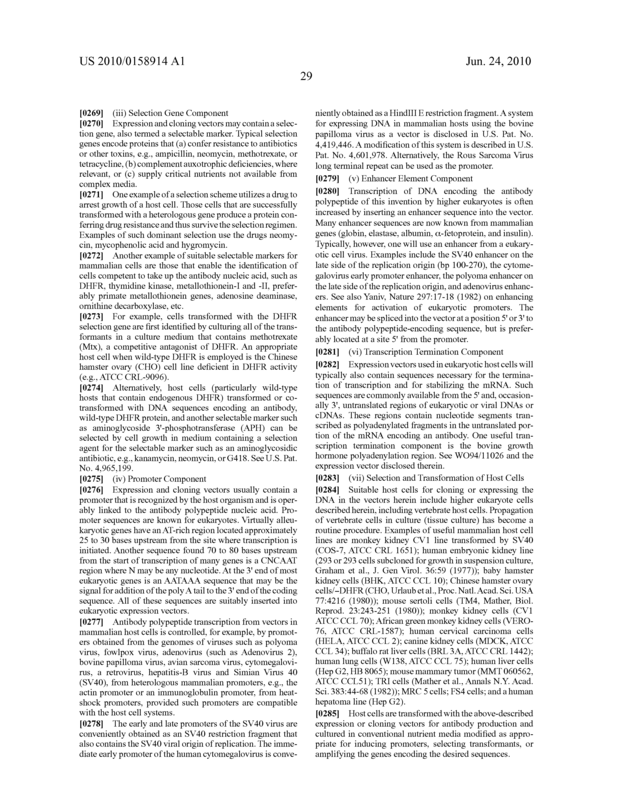 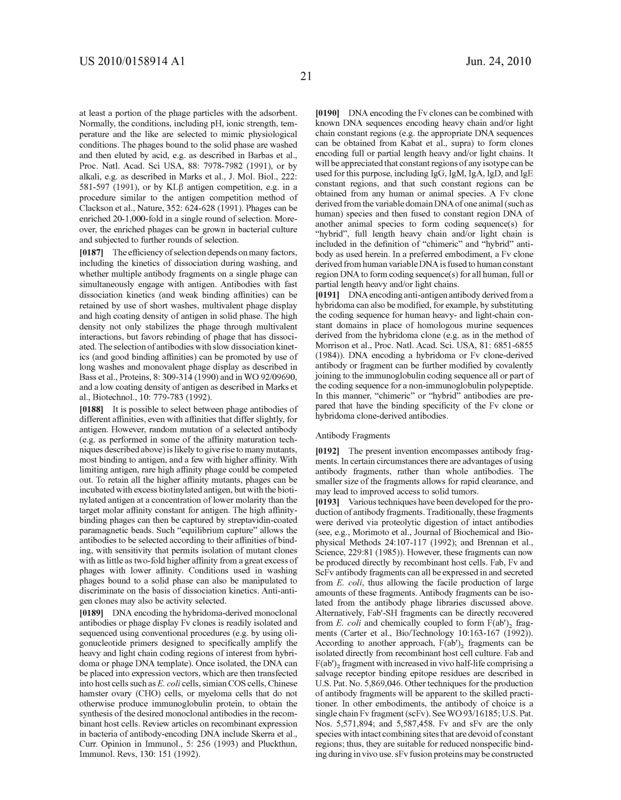 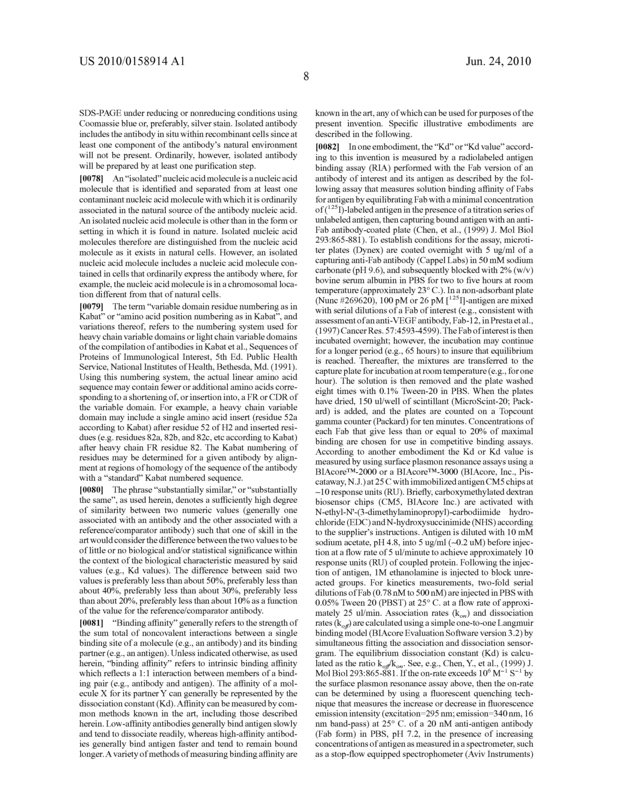 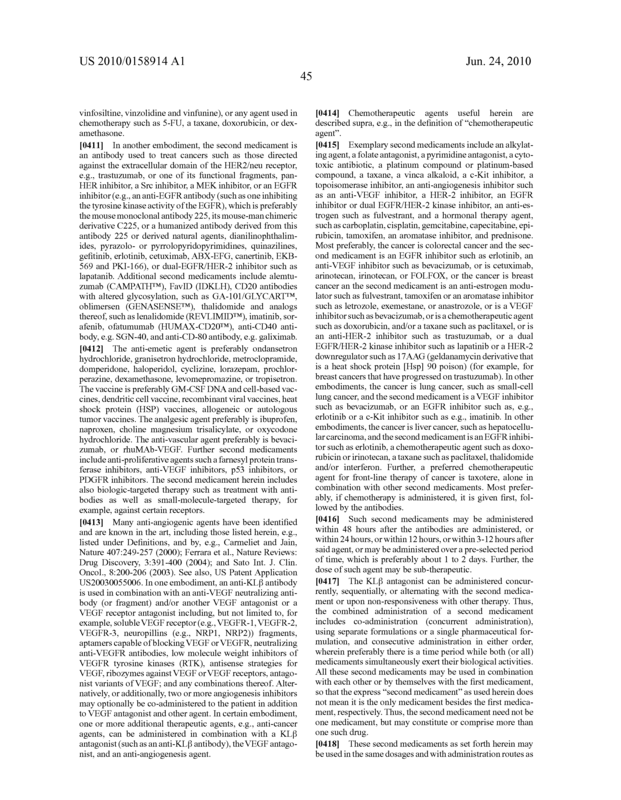 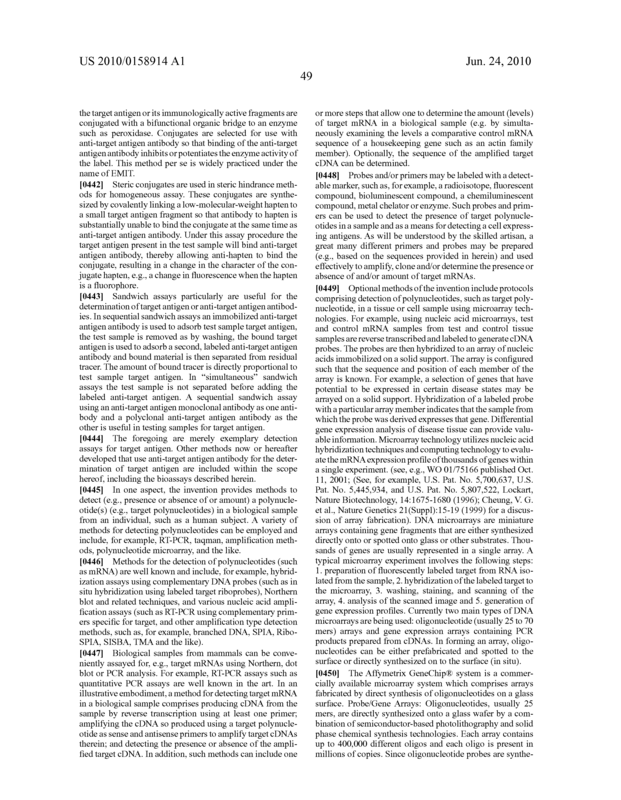 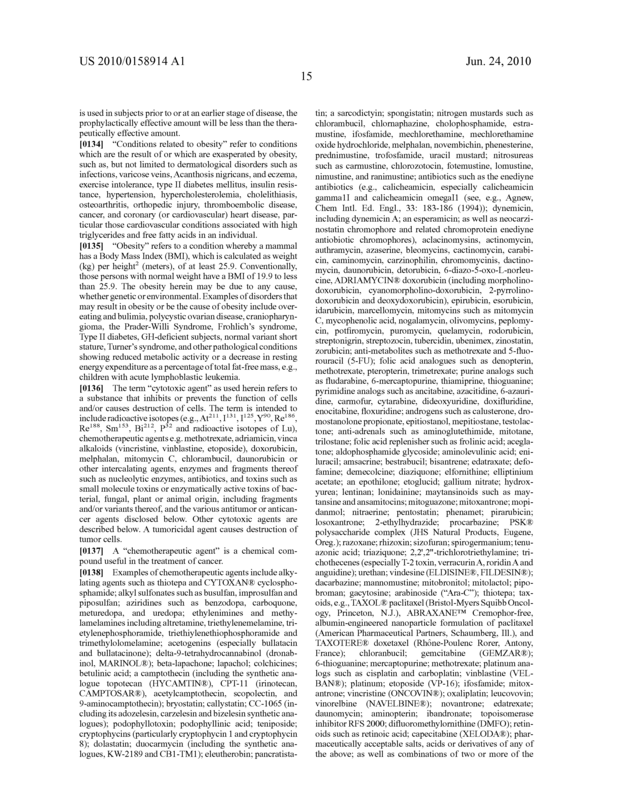 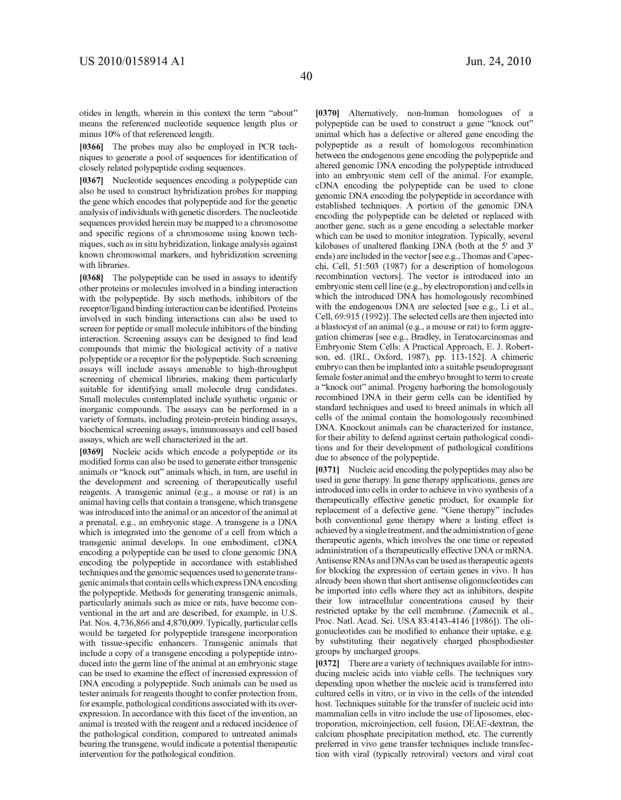 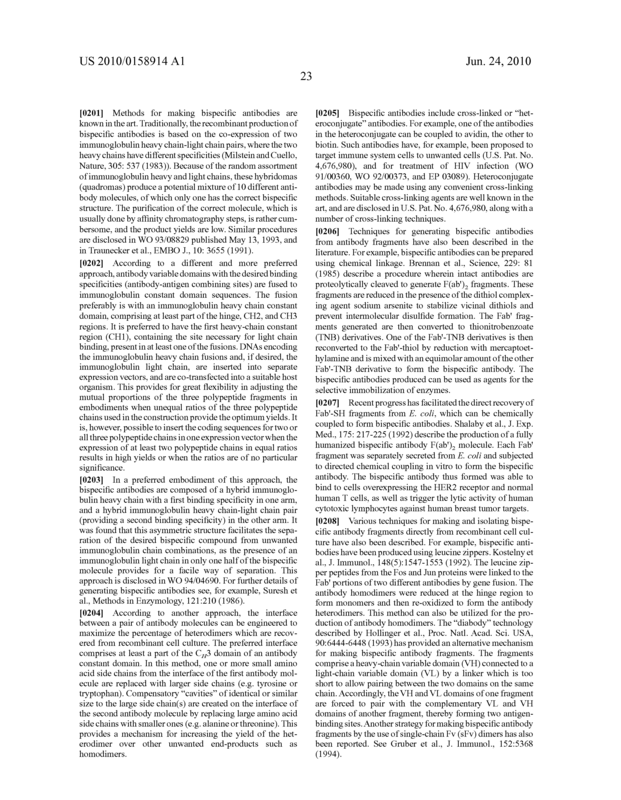 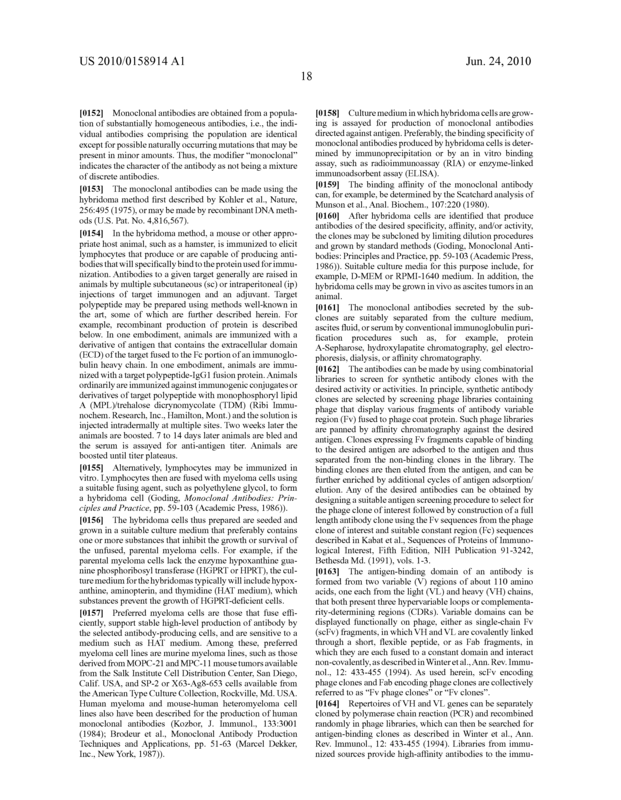 A method for treating a disorder associated with expression or activity of KLβ, the method comprising administering an effective amount of a KLβ antagonist to an individual in need of such treatment. 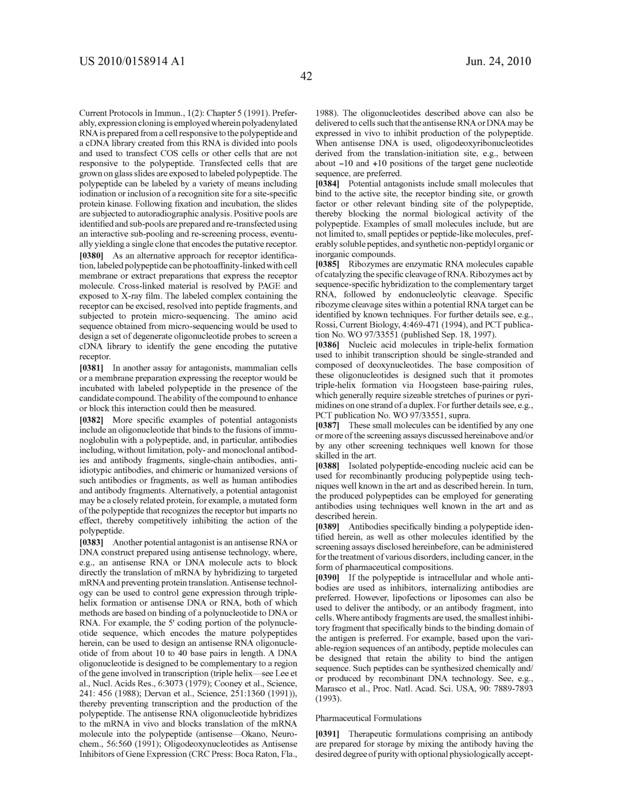 The method of claim 2, wherein the disorder is a tumor, a cancer, or a cell proliferative disorder. 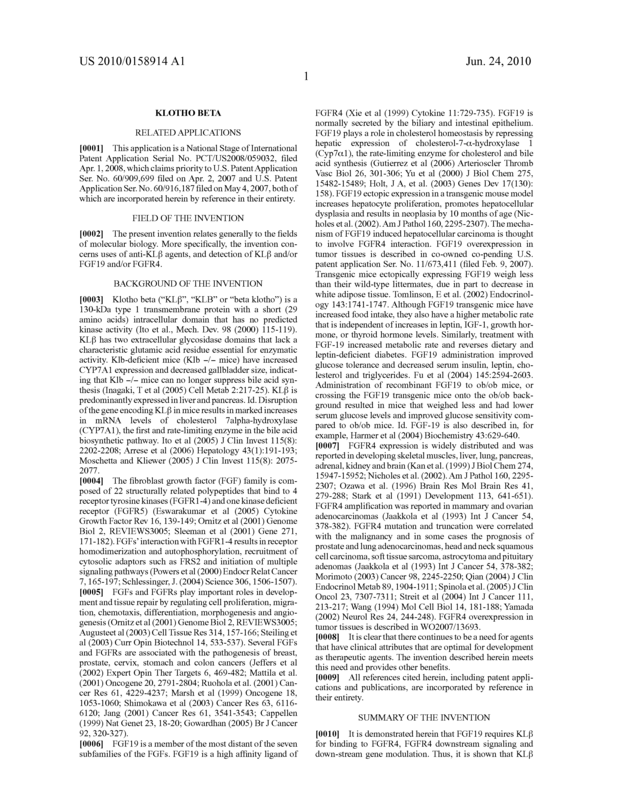 The method of claim 3, wherein the tumor, cancer, or cell proliferative disorder is hepatocellular carcinoma, pancreatic cancer, non-small cell lung cancer, breast cancer, or colorectal cancer. 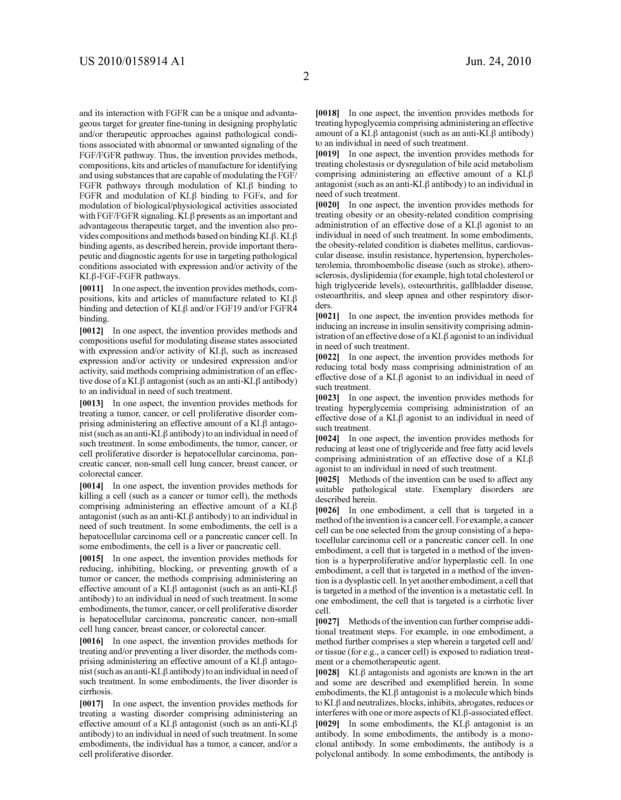 The method of claim 2, wherein the disorder is a liver disorder. 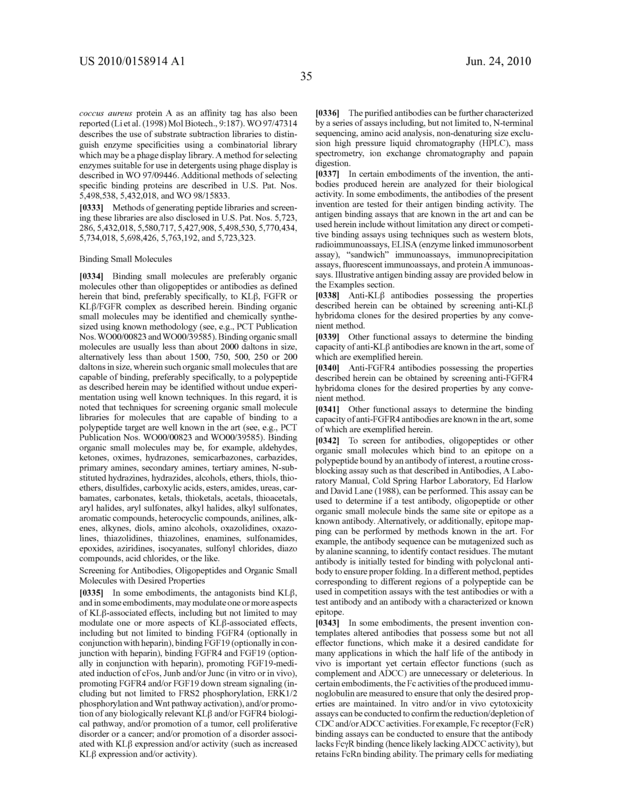 The method of claim 5, wherein the liver disorder is cirrhosis. 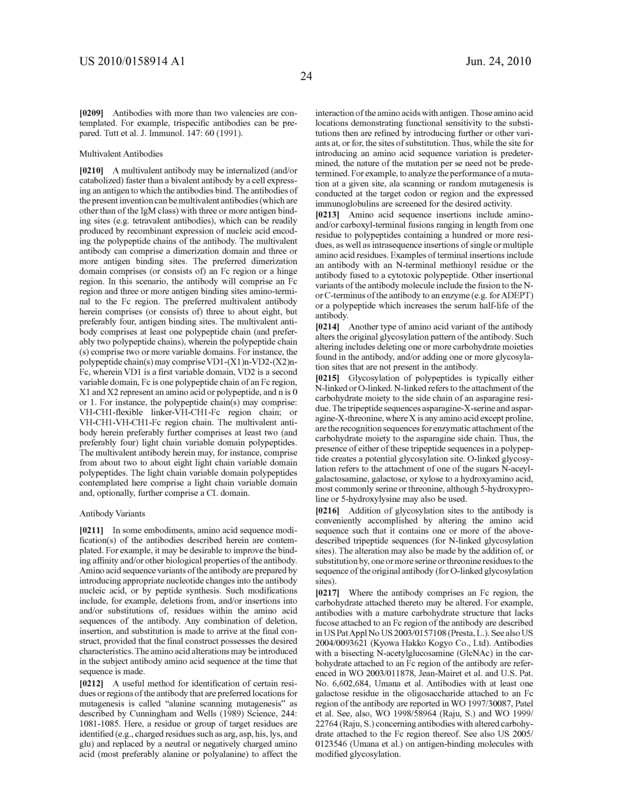 The method of claim 2, wherein the disorder is hypoglycemia, cholestasis or dysregulation of bile acid metabolism. 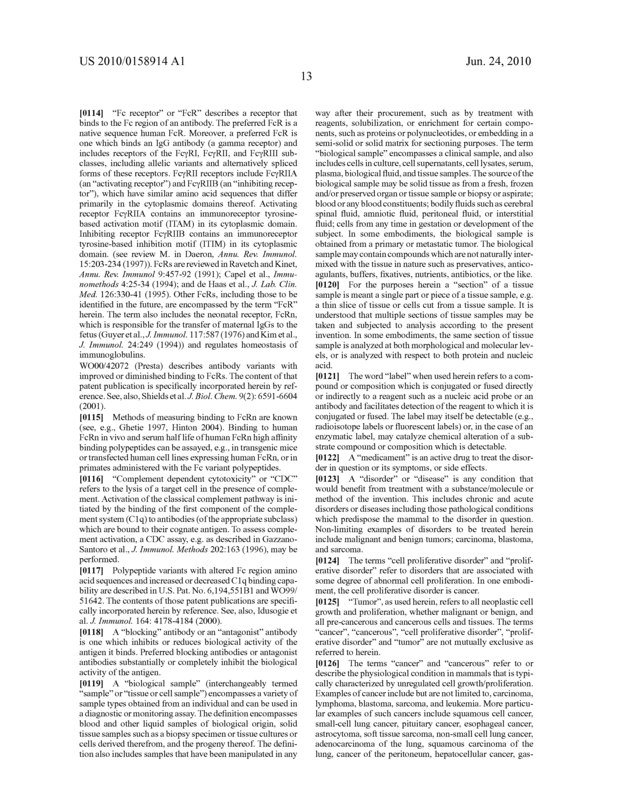 The method of claim 2, wherein the disorder is wasting. 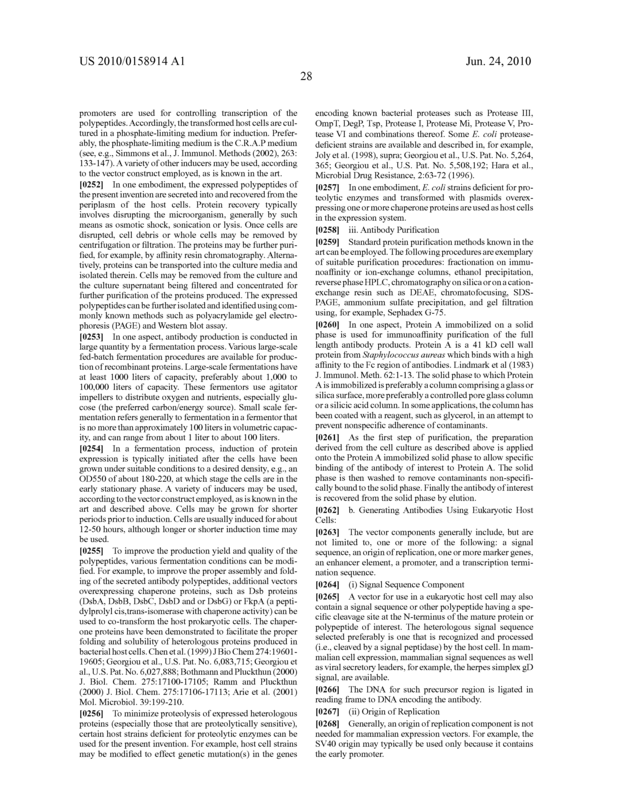 The method of claim 8, wherein the individual further has a tumor, a cancer, and/or a cell proliferative disorder. 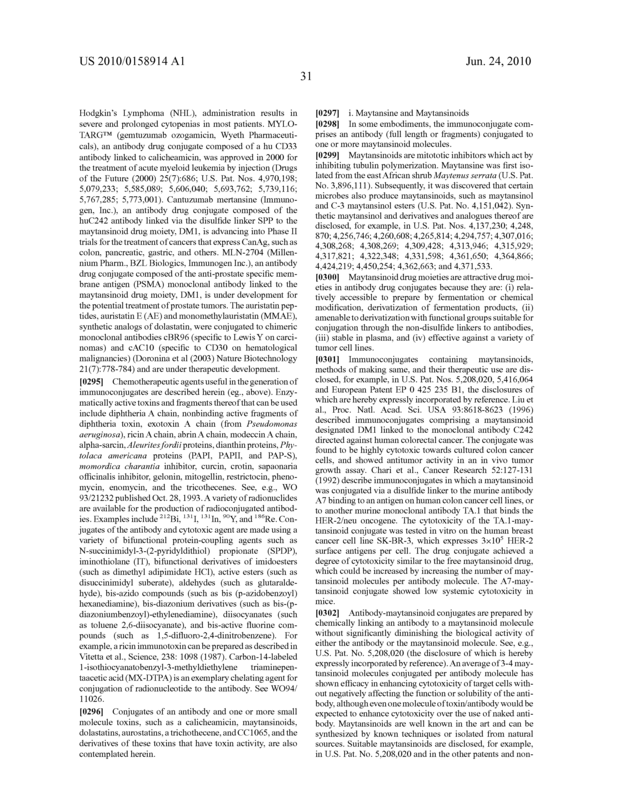 The method of claim 10, wherein the second medicament is an antibody, a chemotherapeutic agent, a cytotoxic agent, an anti-angiogenic agent, an immunosuppressive agent, a prodrug, a cytokine, a cytokine antagonist, cytotoxic radiotherapy, a corticosteroid, an anti-emetic, a cancer vaccine, an analgesic, or a growth-inhibitory agent. 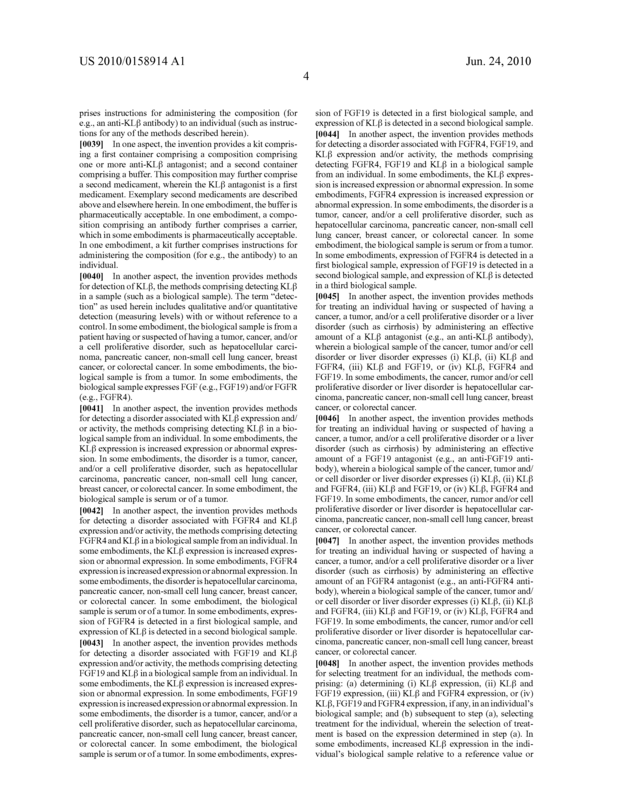 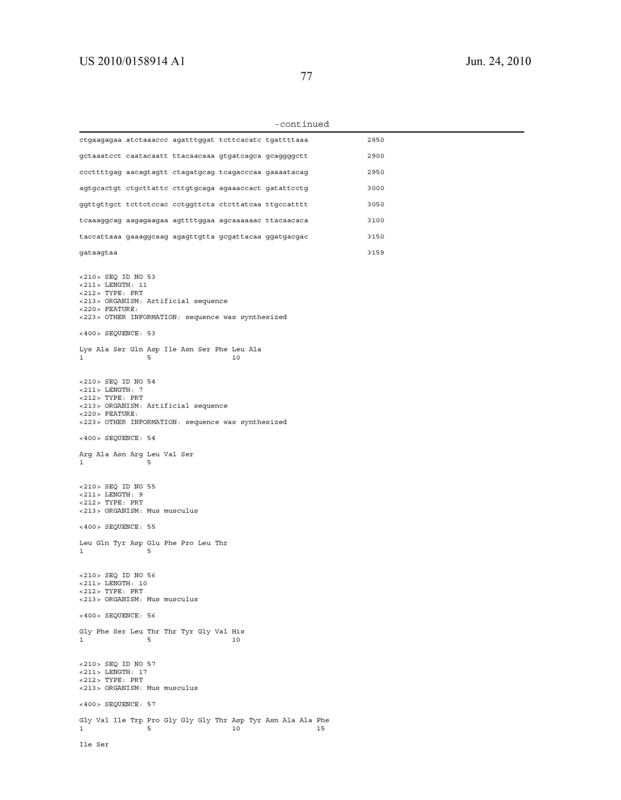 The method of claim 11, wherein the second medicament is tamoxifen, letrozole, exemestane, anastrozole, irinotecan, cetuximab, fulvestrant, vinorelbine, erlotinib, bevacizumab, vincristine, imatinib, sorafenib, lapatinib, or trastuzumab. 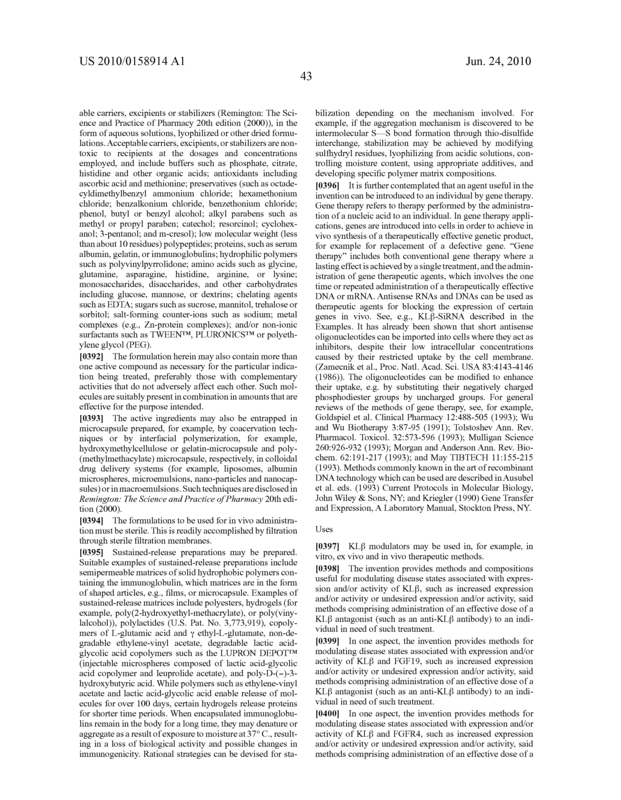 The method of claim 10, wherein the second medicament is administered prior to or subsequent to the administration of the KLβ antagonist. 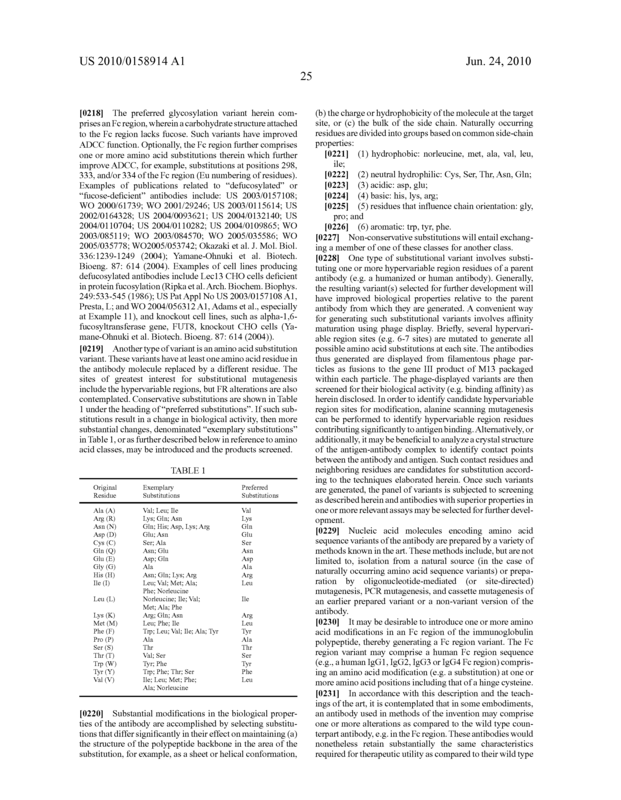 The method of claim 10, wherein the second medicament is administered concurrently with the KLβ antagonist. 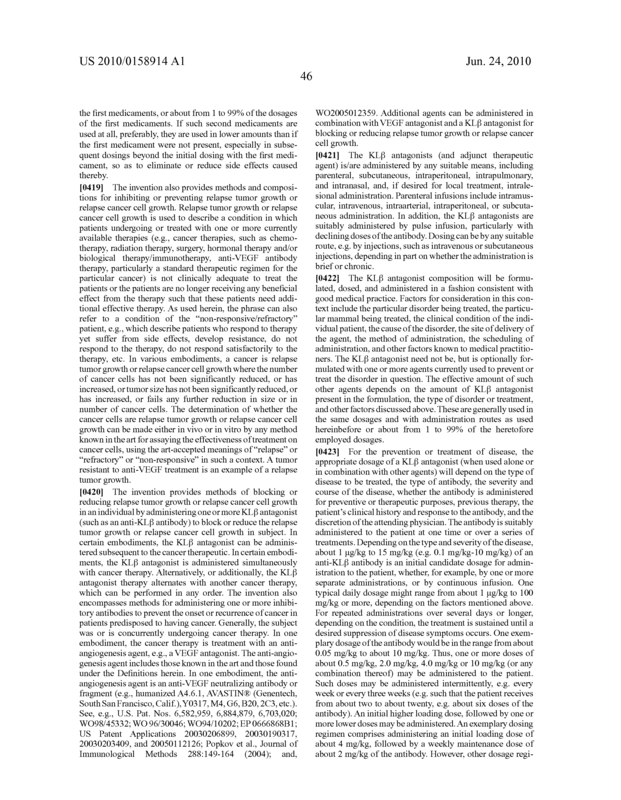 The method of claim 15, wherein the antibody is a monoclonal antibody. 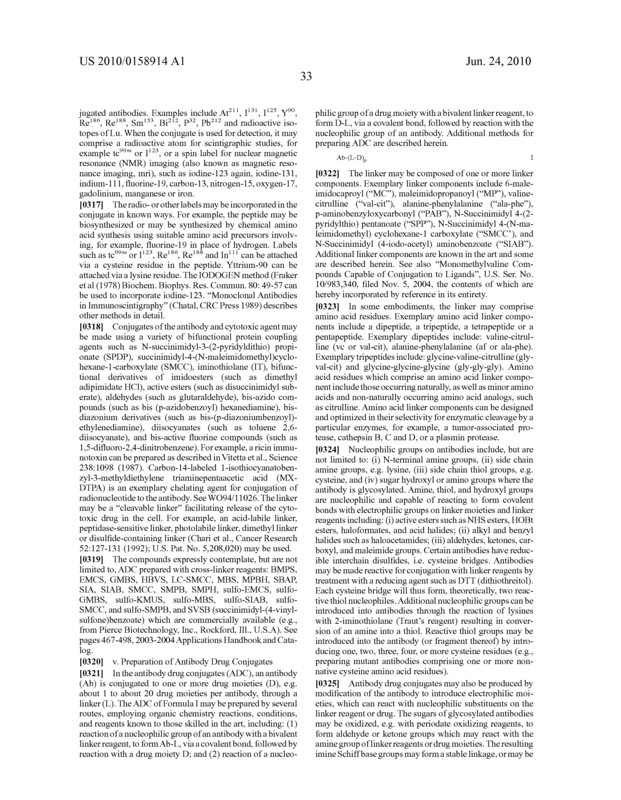 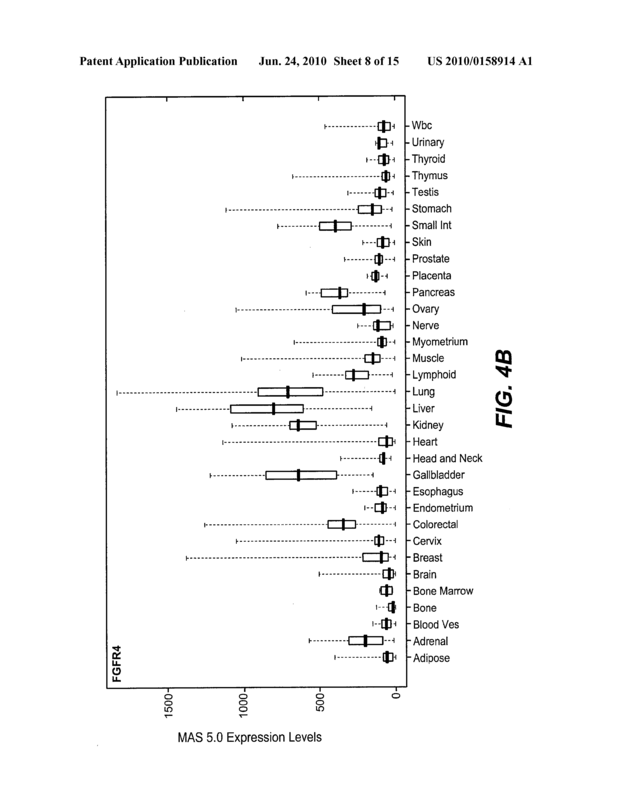 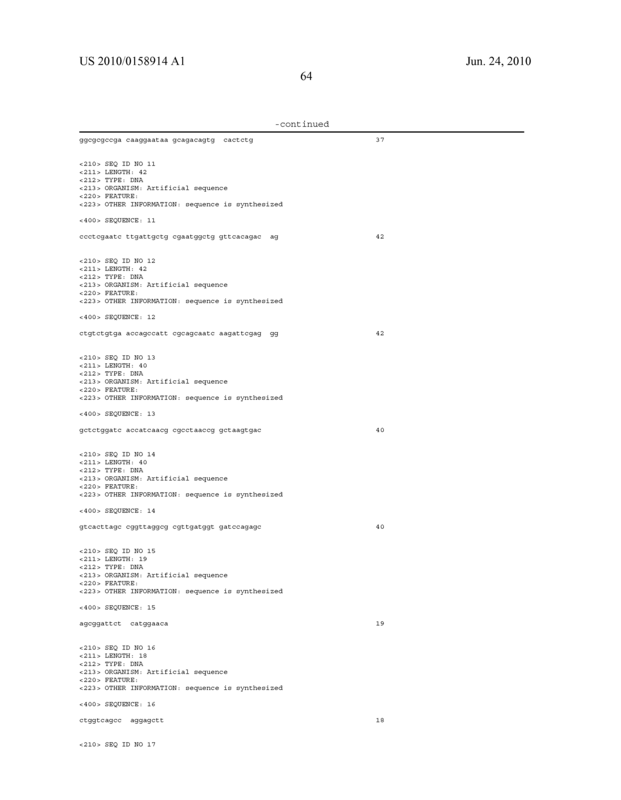 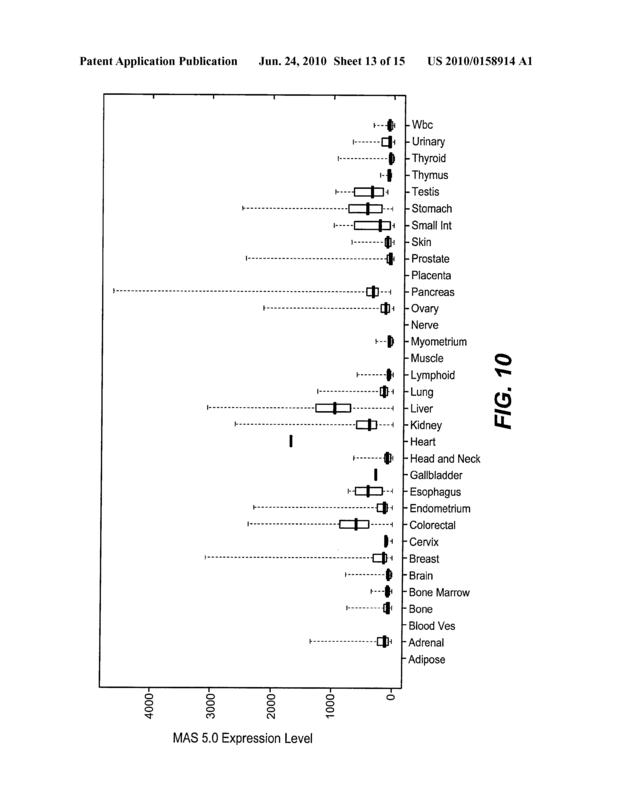 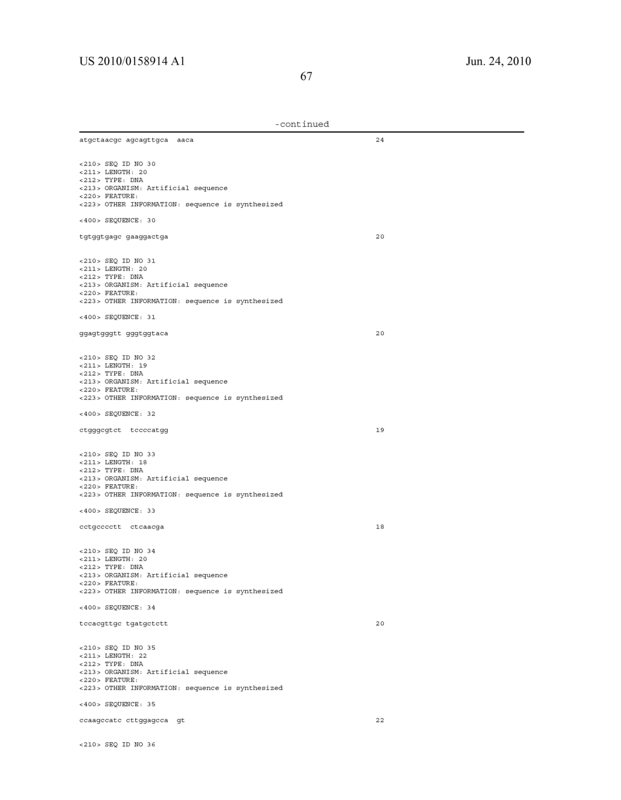 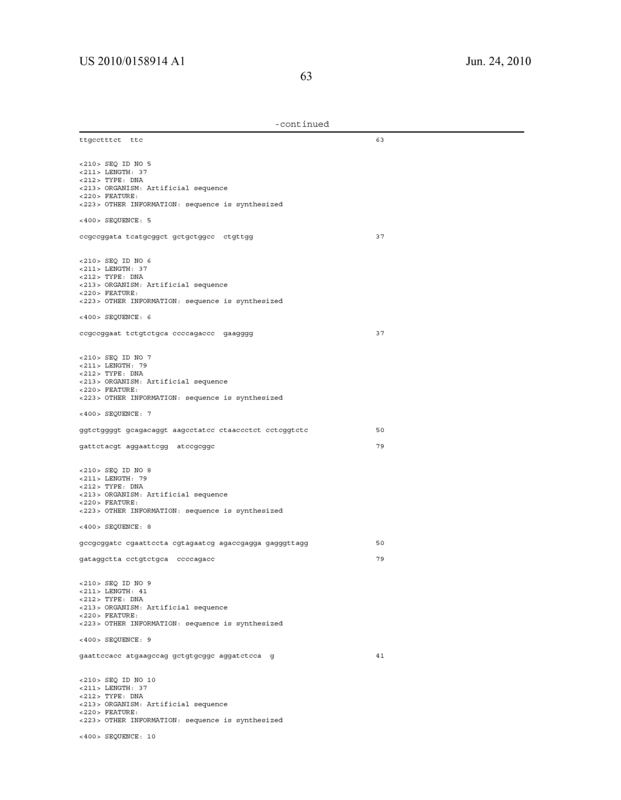 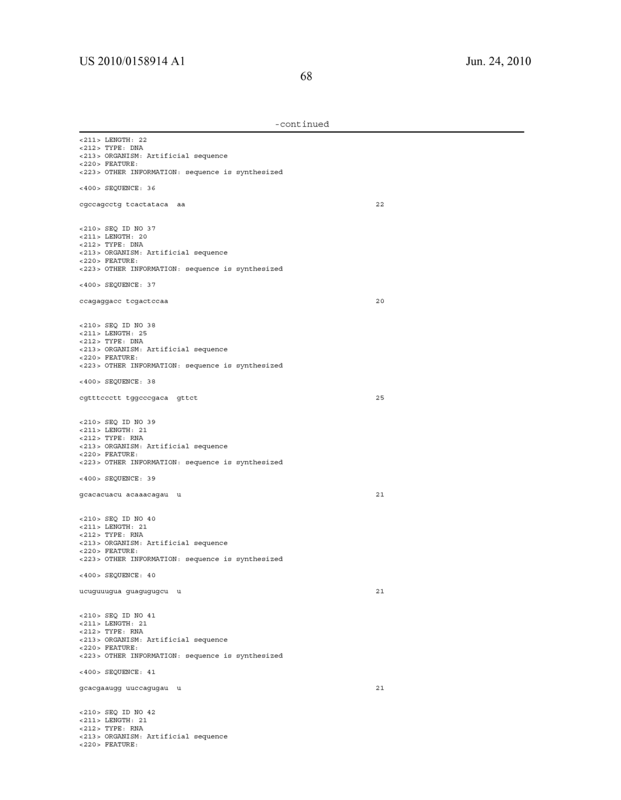 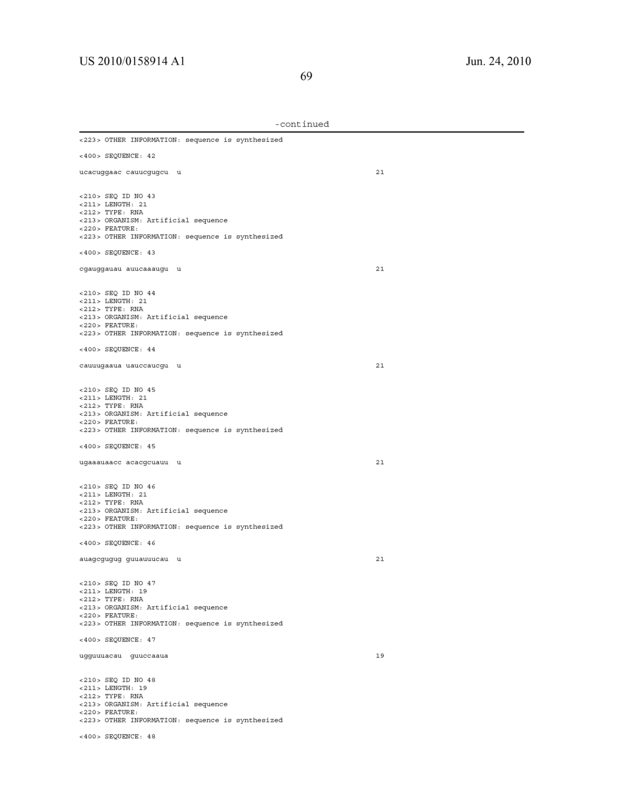 The antibody of claim 15, wherein the antibody is selected from the group consisting of a chimeric antibody, a humanized antibody, an affinity matured antibody, a human antibody, and a bispecific antibody. 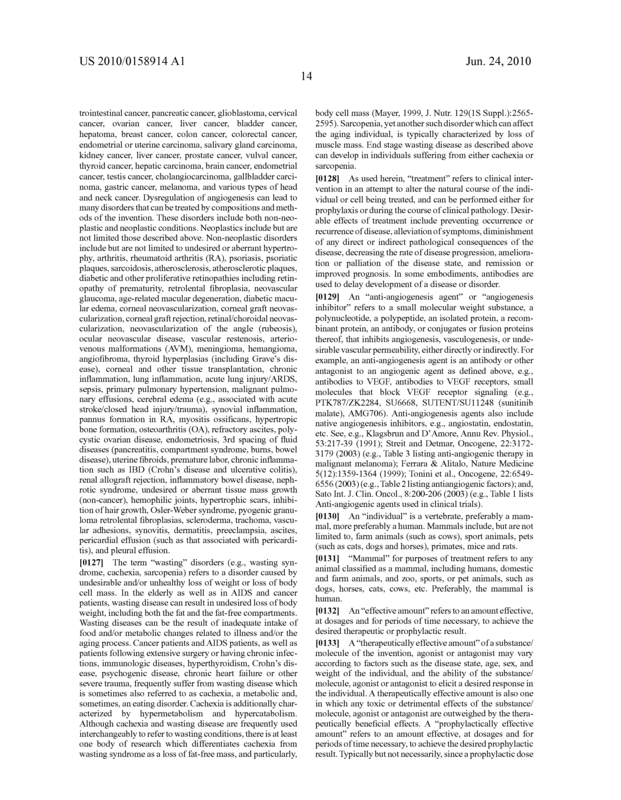 The antibody of claim 15, wherein the antibody is an antibody fragment. 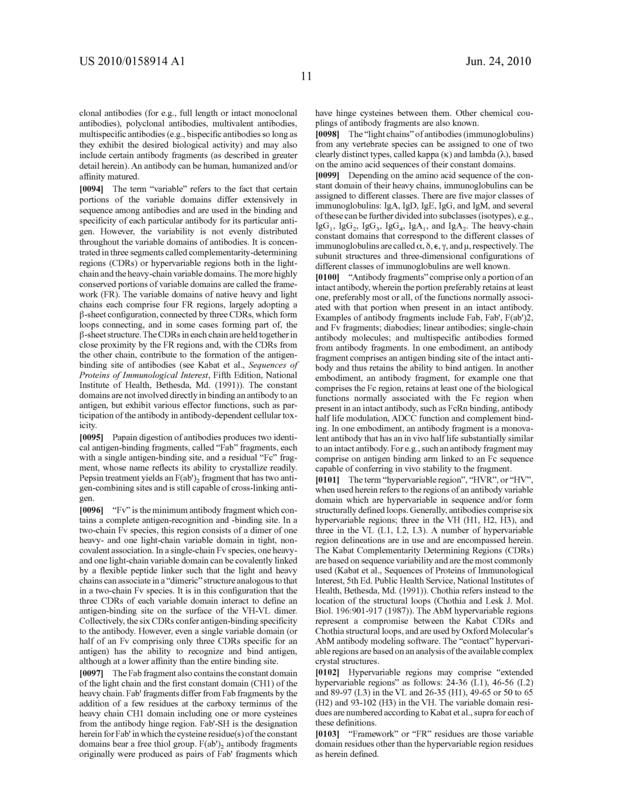 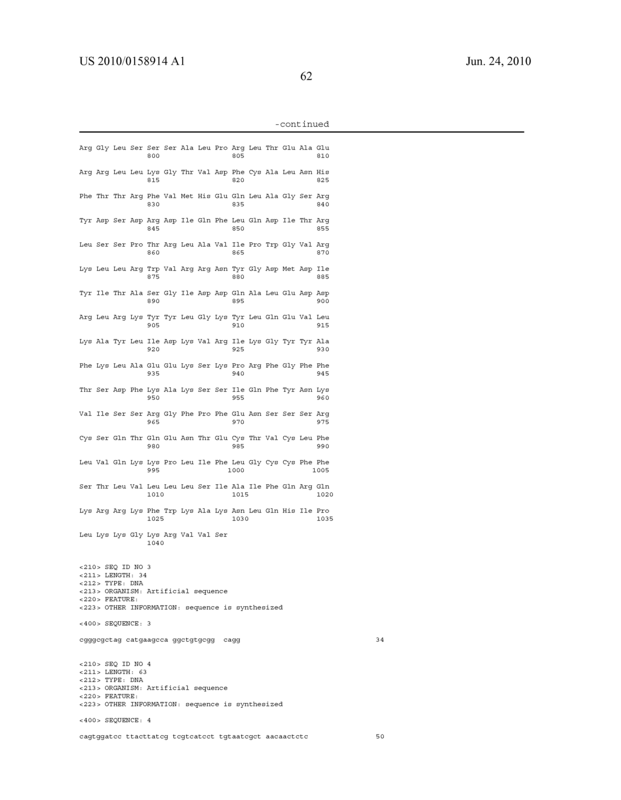 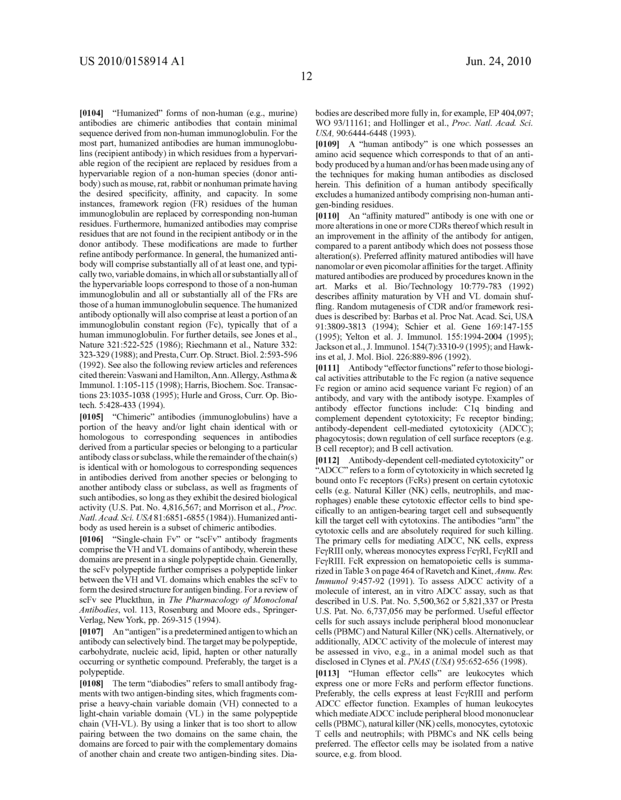 The antibody of claim 15, wherein the antibody is an immunoconjugate. 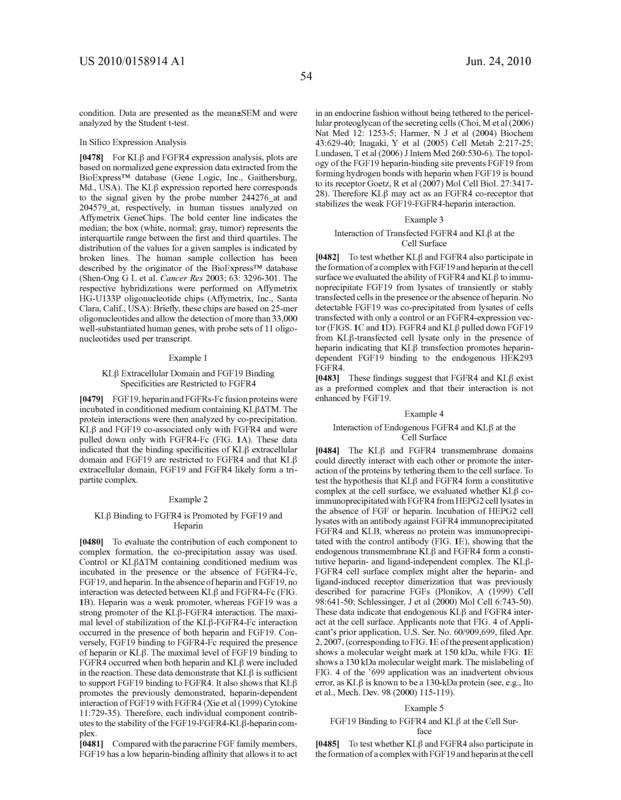 The method of claim 2, further wherein a biological sample of the individual expresses (i) KLβ, (ii) KLβ and FGF, (iii) KLβ and FGFR, or (iv) KLβ, FGF and FGFR. 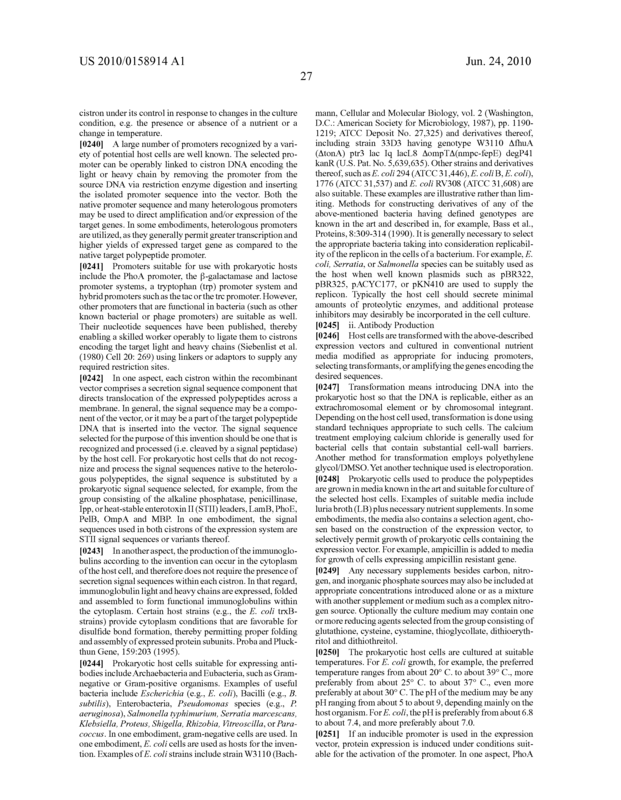 The method of claim 20, wherein the biological sample expresses KLβ. 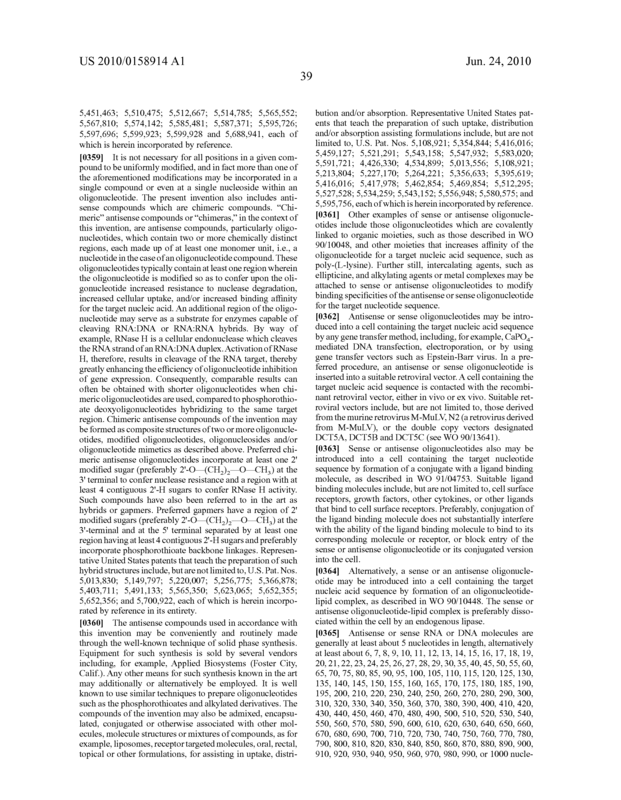 The method of claim 20, wherein the biological sample expresses KLβ and FGFR4. 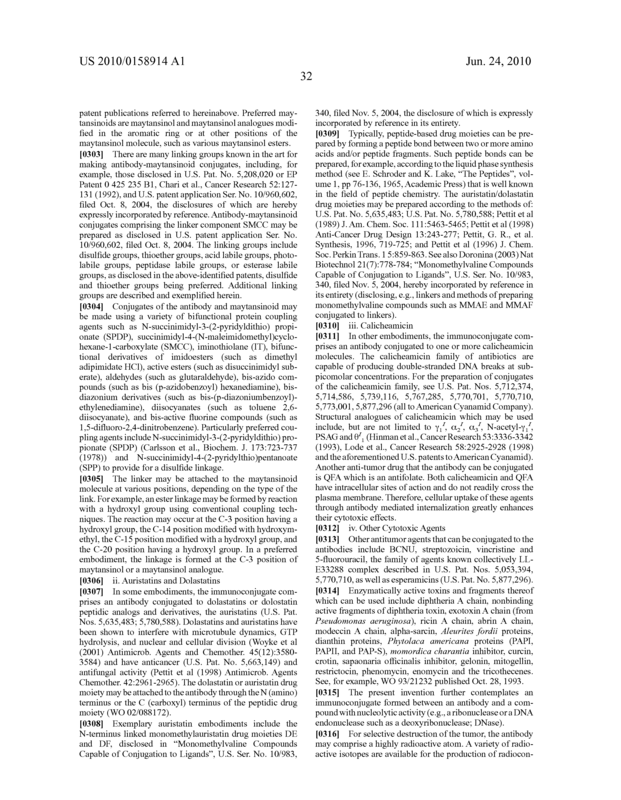 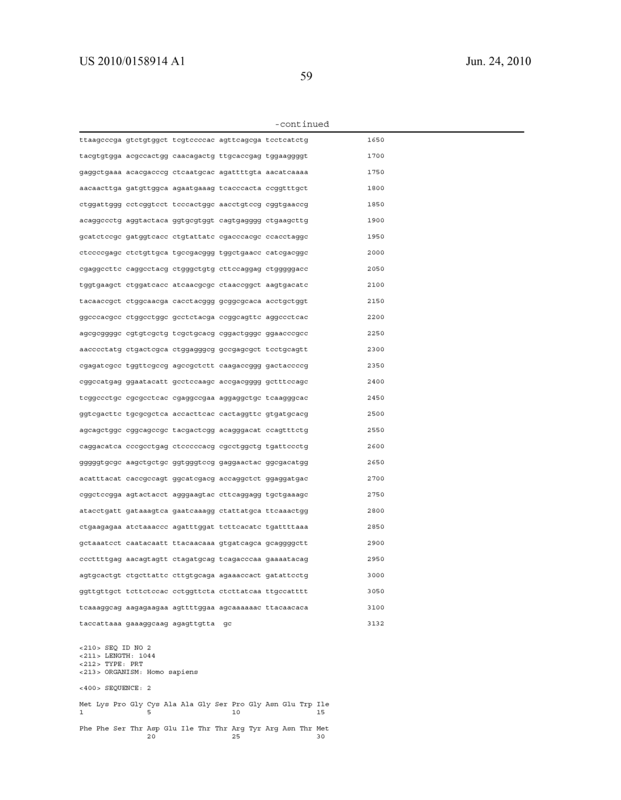 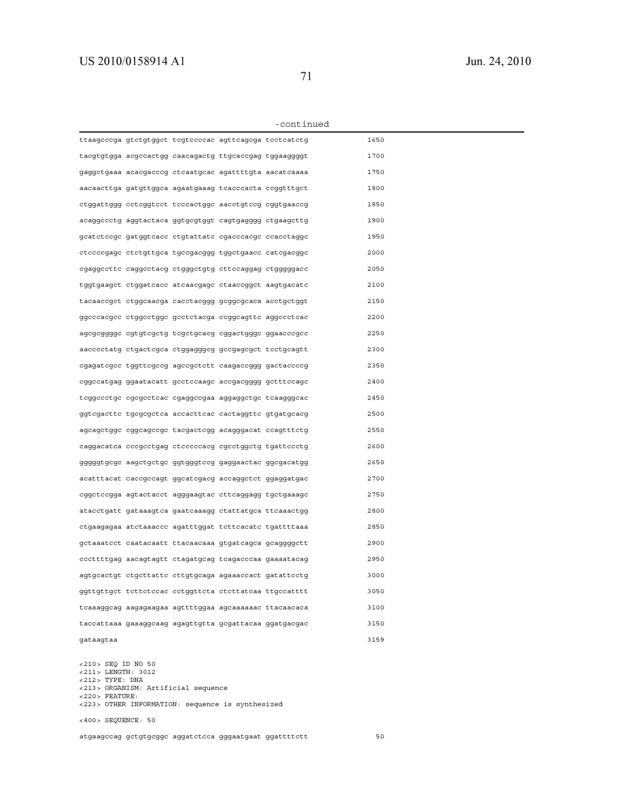 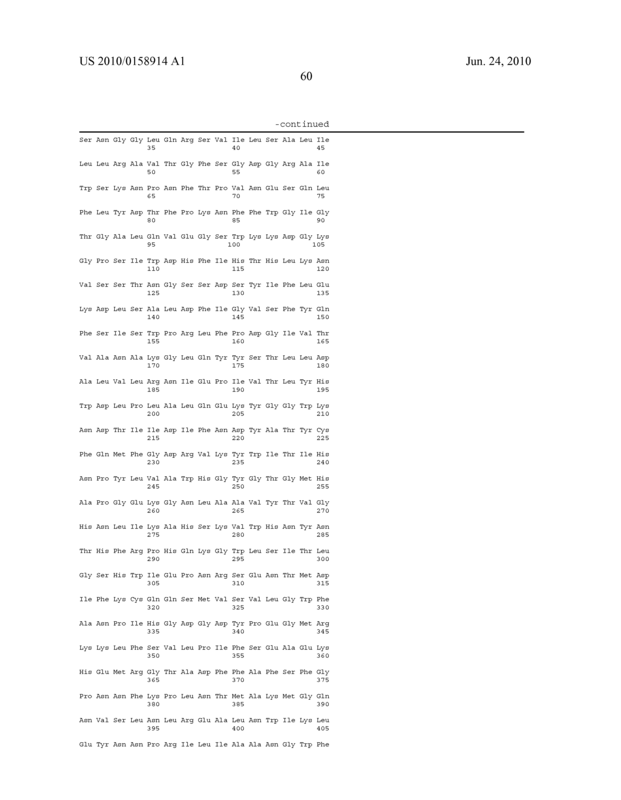 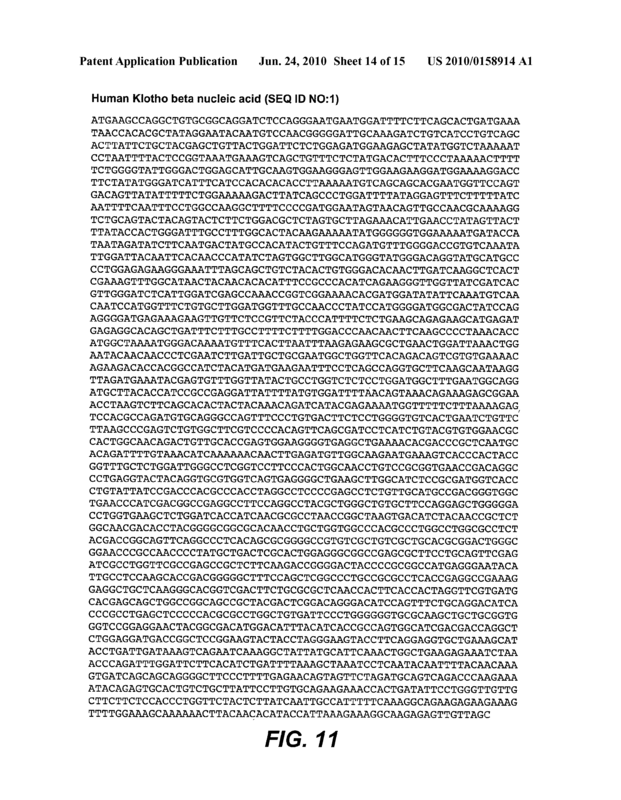 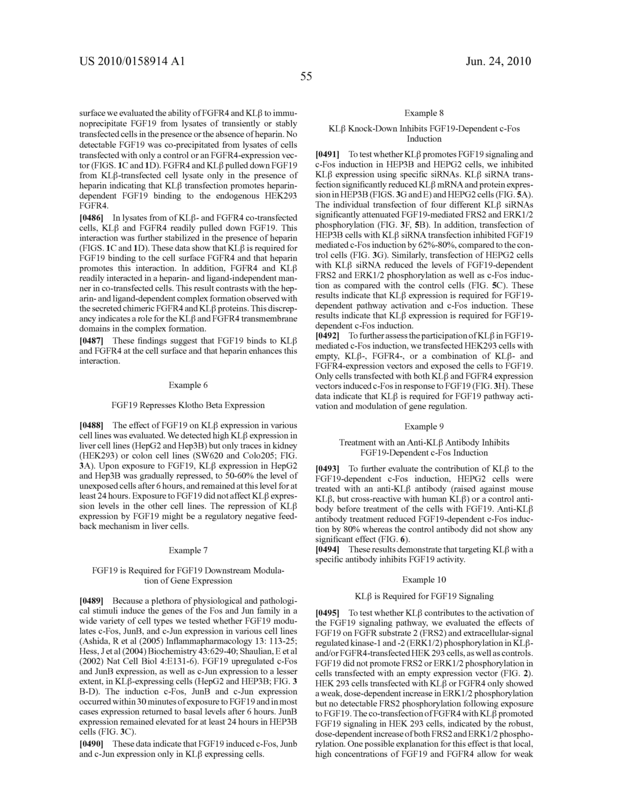 The method of claim 20, wherein the biological sample expresses KLβ, FGF19 and FGFR4. 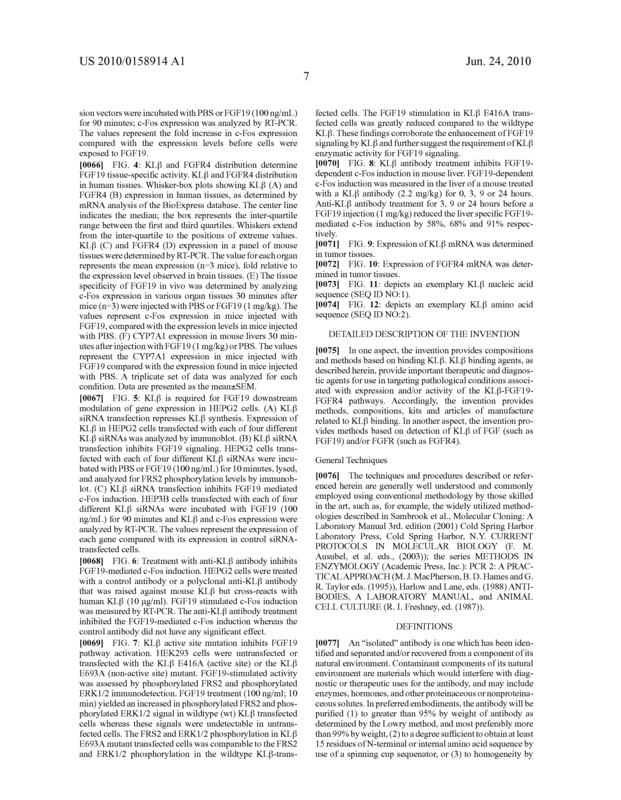 The method of claim 1, wherein the KLβ modulator is a KLβ agonist. 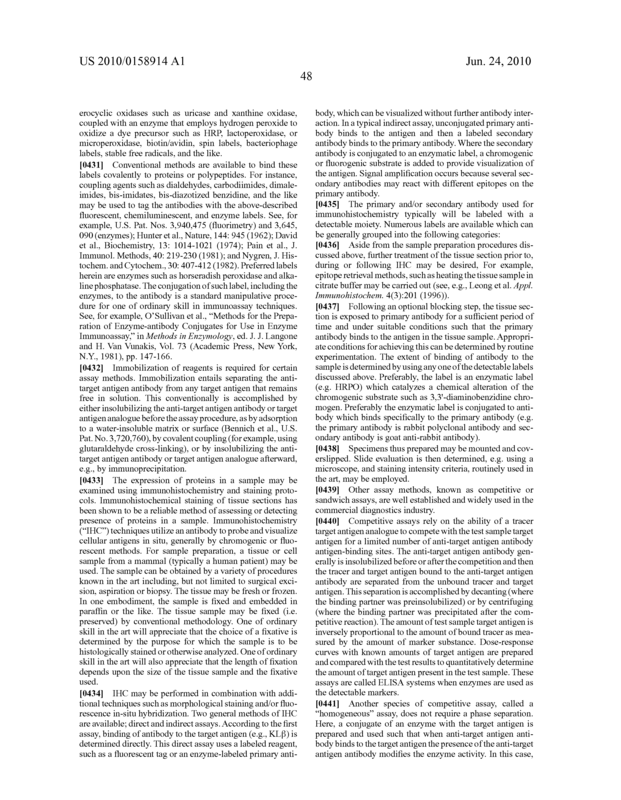 The method of claim 24, wherein the disorder is obesity or an obesity-related condition. 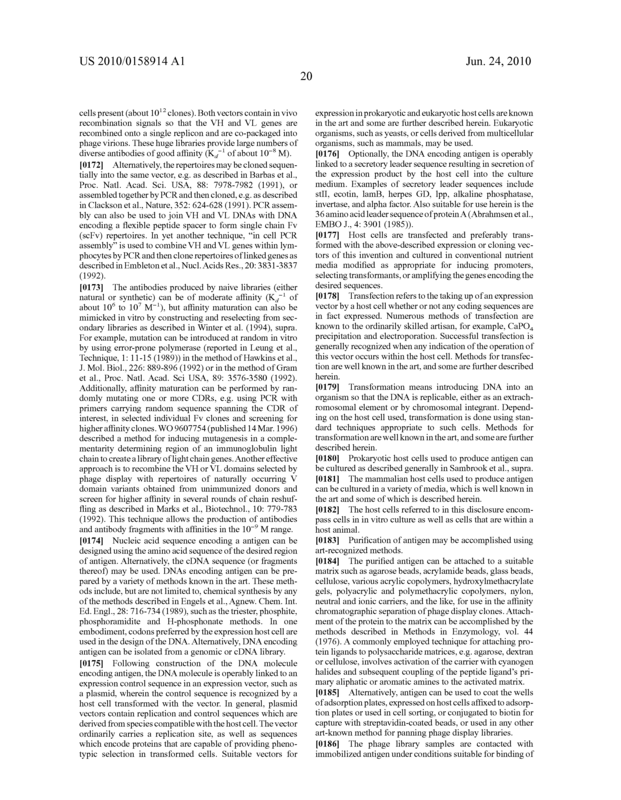 The method of claim 25, wherein the obesity-related condition is diabetes mellitus, cardiovascular disease, insulin resistance, hypertension, hypercholesterolemia, thromboembolic disease, atherosclerosis, dyslipidemia, osteoarthritis, gallbladder disease, osteoarthritis, and sleep apnea and other respiratory disorders. 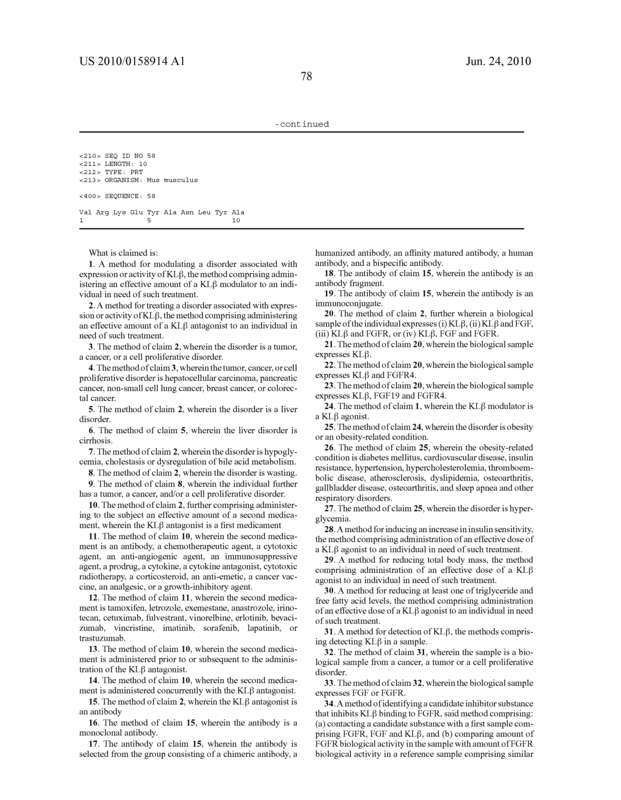 The method of claim 25, wherein the disorder is hyperglycemia. 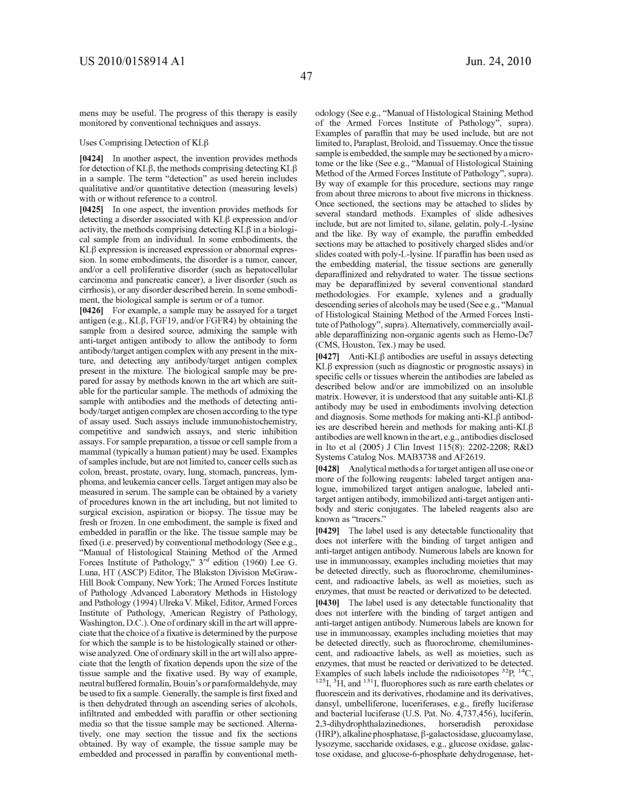 A method for inducing an increase in insulin sensitivity, the method comprising administration of an effective dose of a KLβ agonist to an individual in need of such treatment. 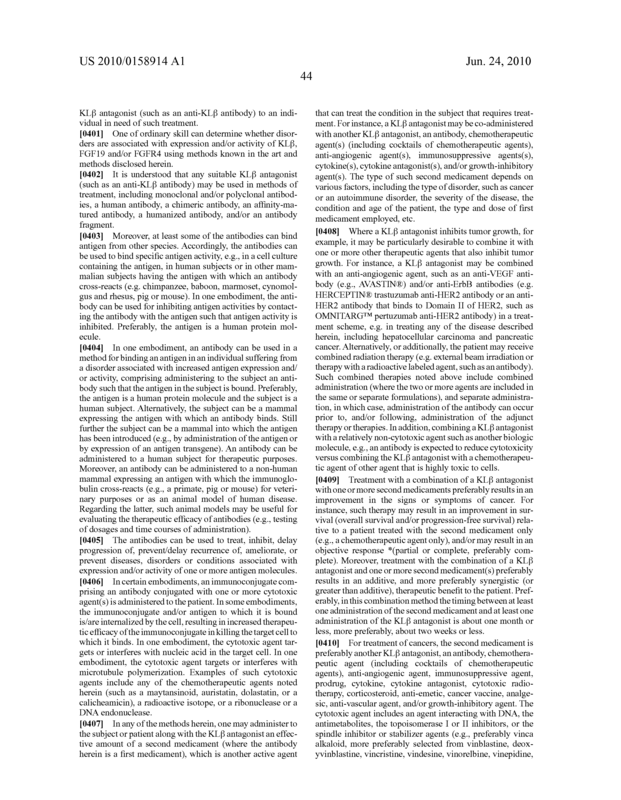 A method for reducing total body mass, the method comprising administration of an effective dose of a KLβ agonist to an individual in need of such treatment. 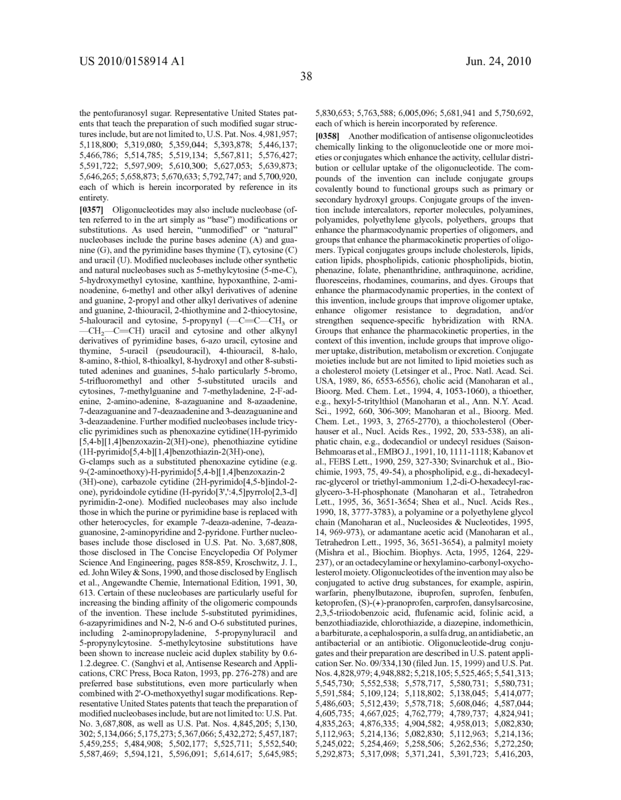 A method for reducing at least one of triglyceride and free fatty acid levels, the method comprising administration of an effective dose of a KLβ agonist to an individual in need of such treatment. 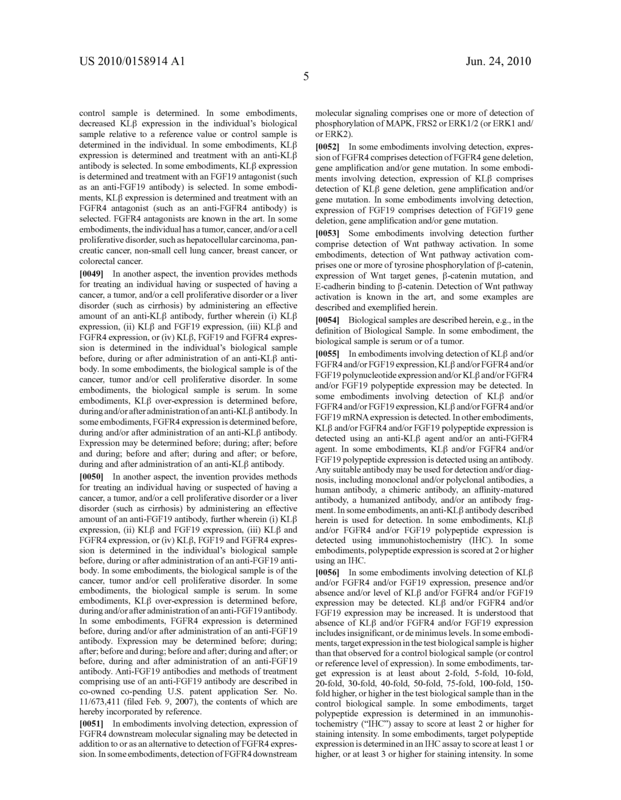 A method for detection of KLβ, the methods comprising detecting KLβ in a sample. 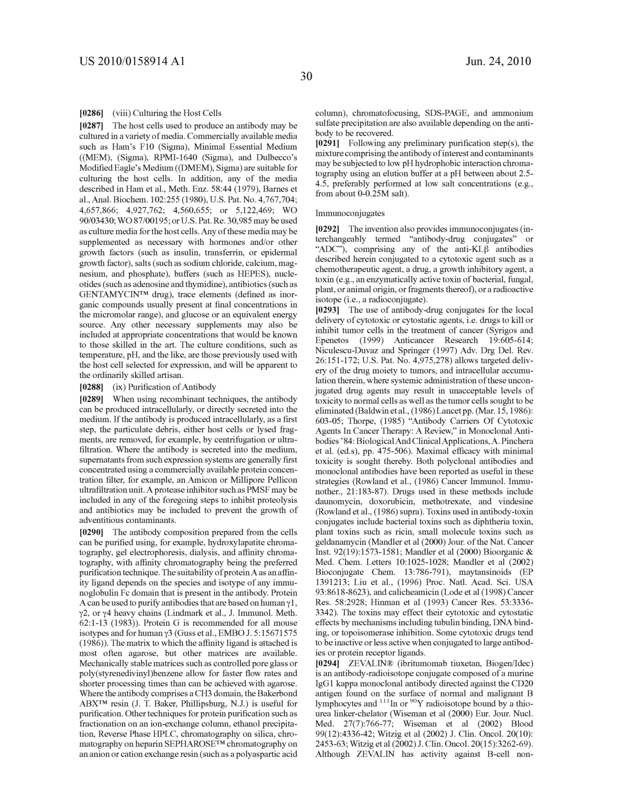 The method of claim 31, wherein the sample is a biological sample from a cancer, a tumor or a cell proliferative disorder. 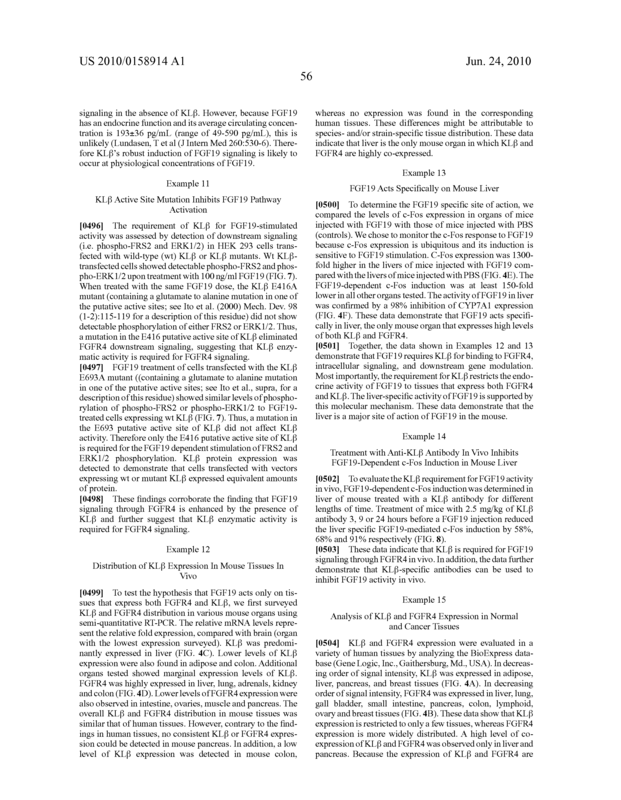 The method of claim 32, wherein the biological sample expresses FGF or FGFR. 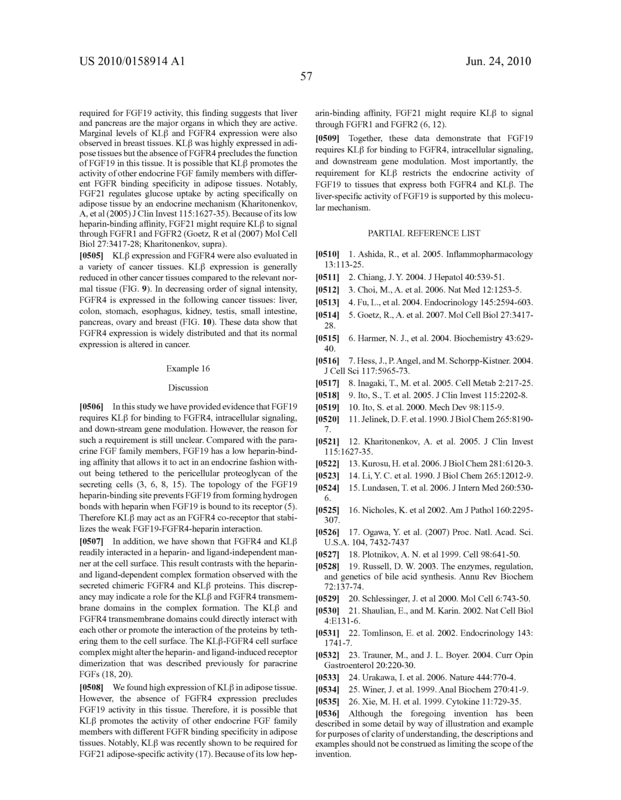 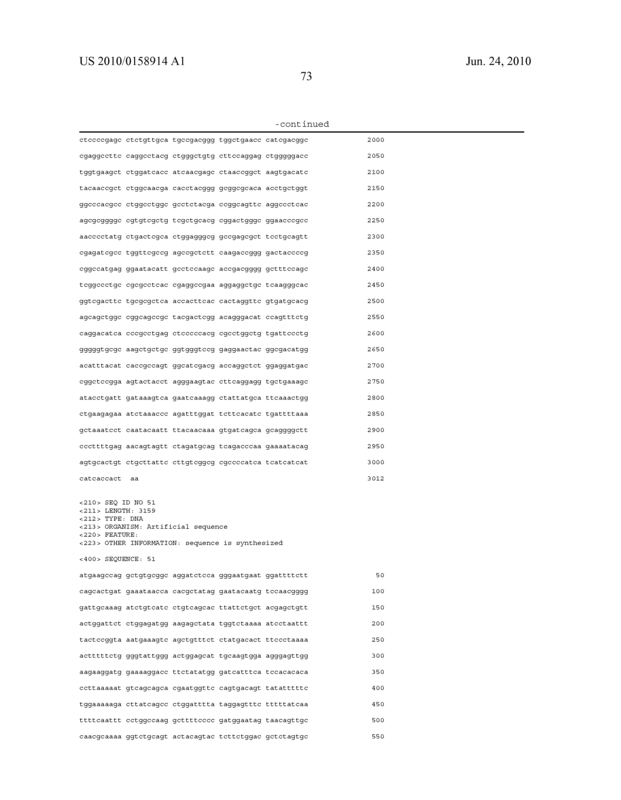 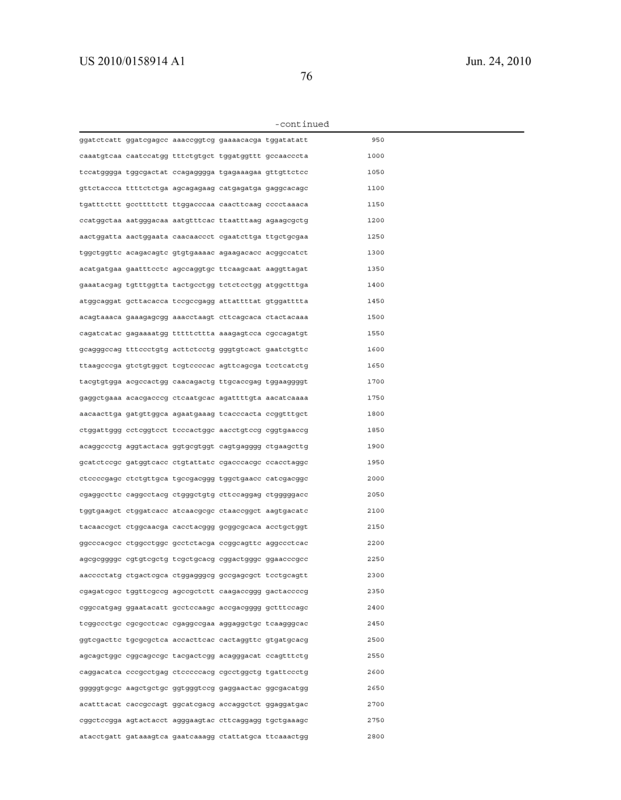 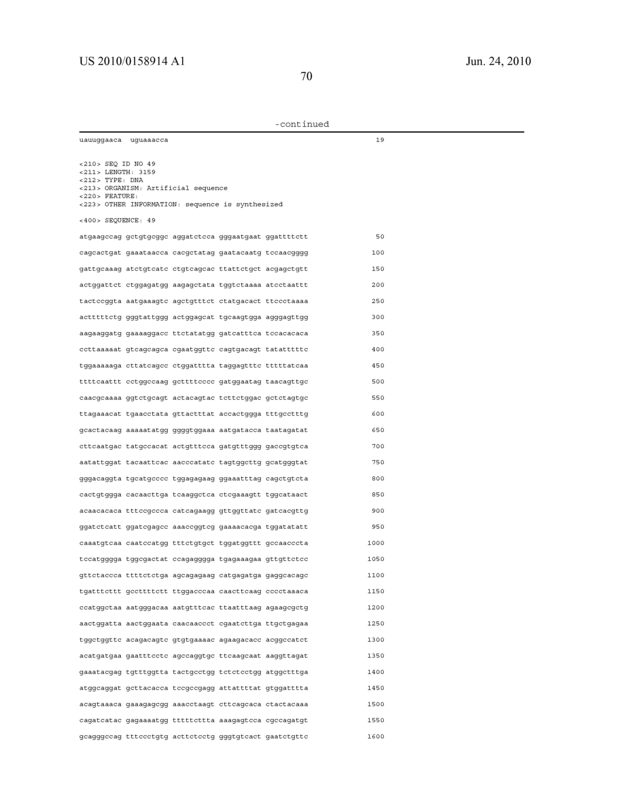 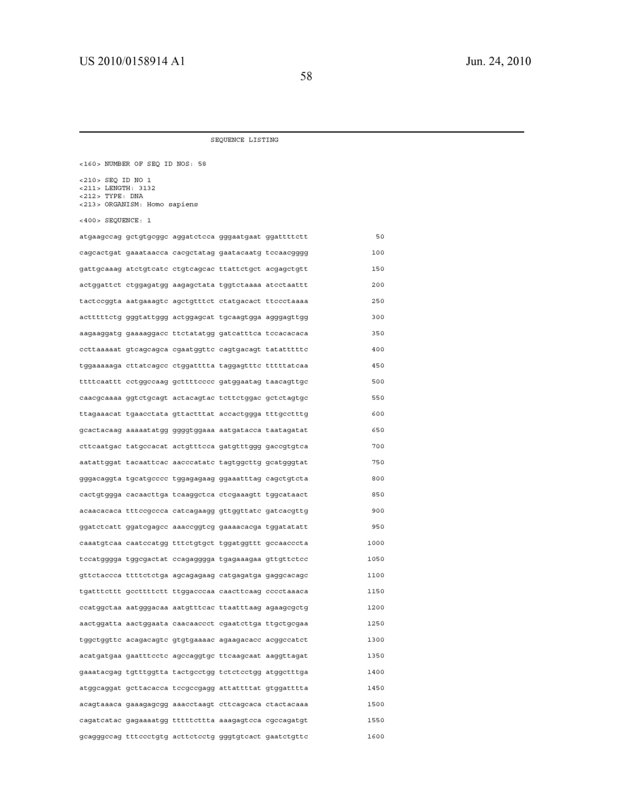 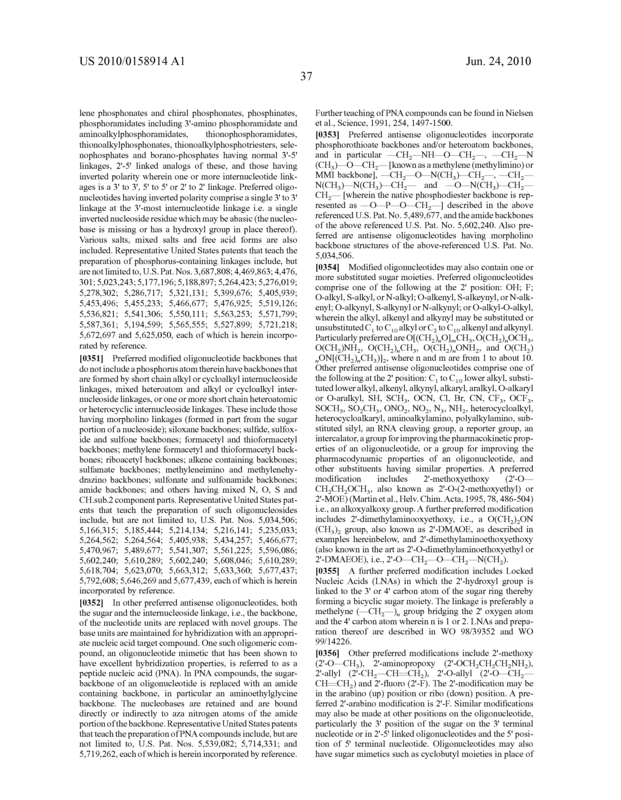 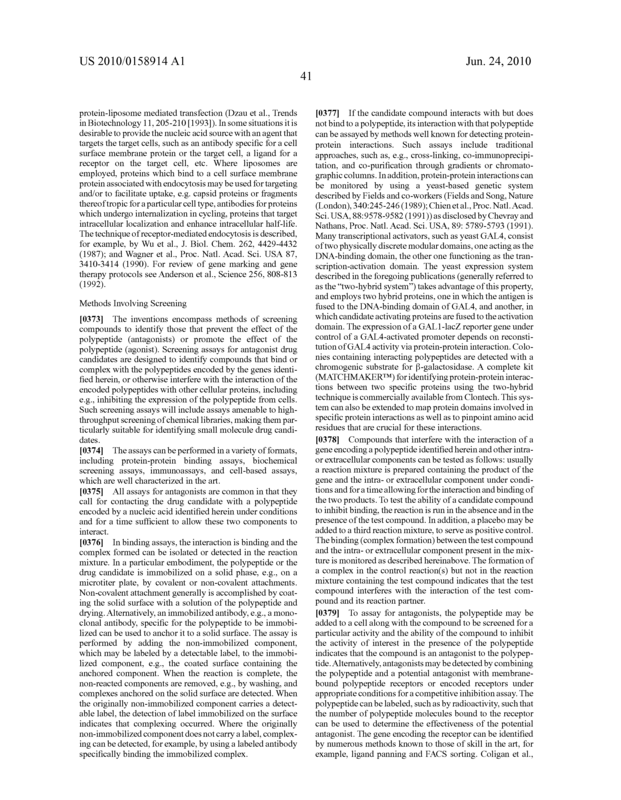 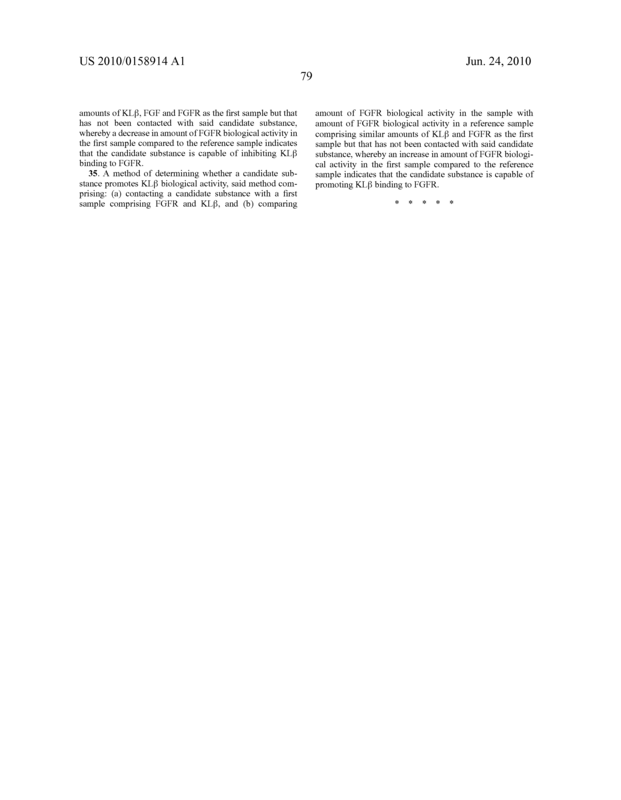 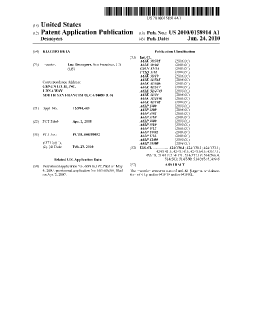 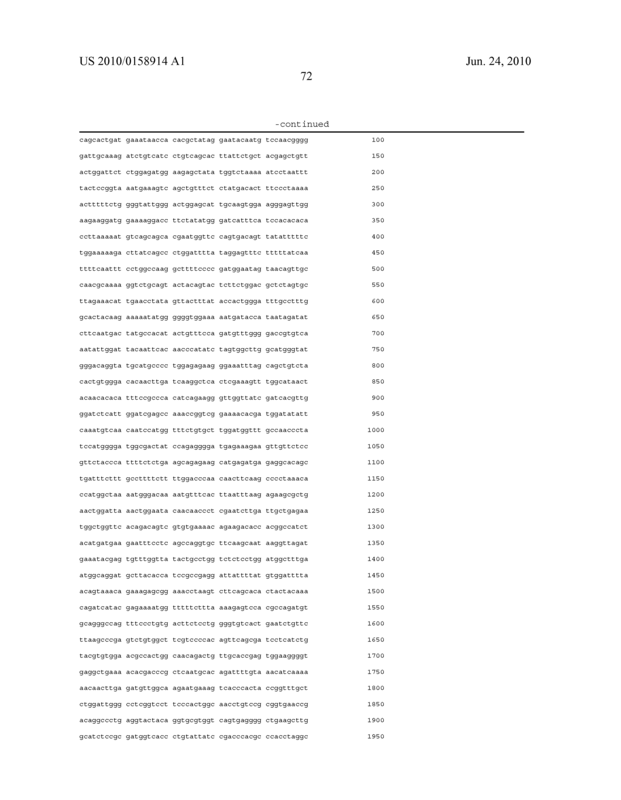 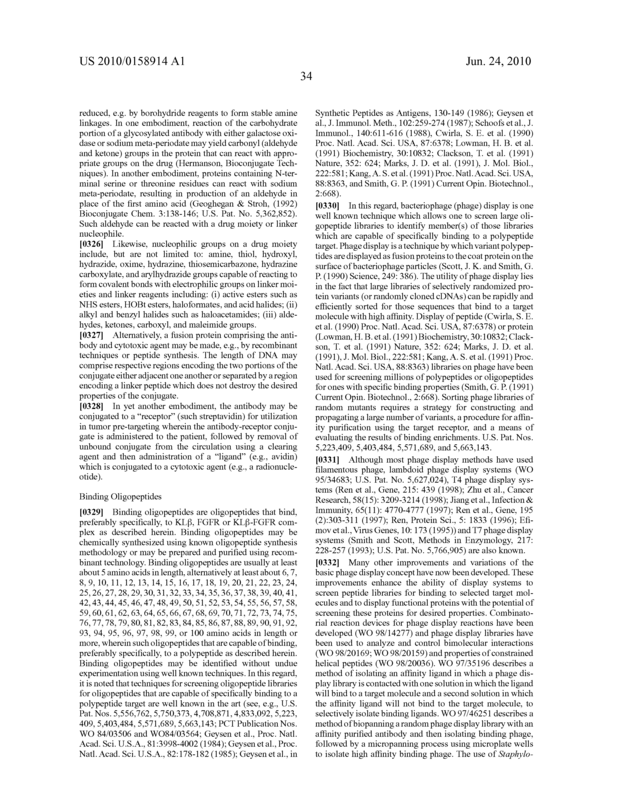 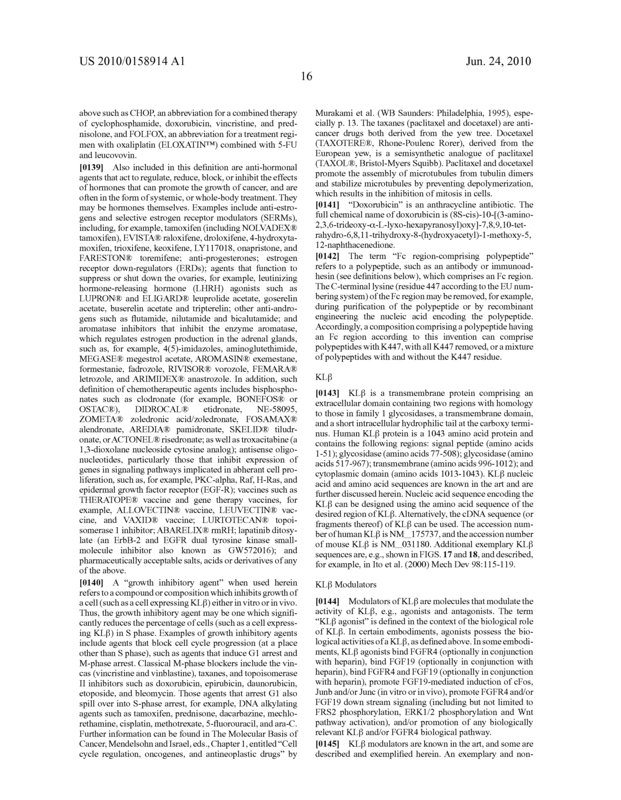 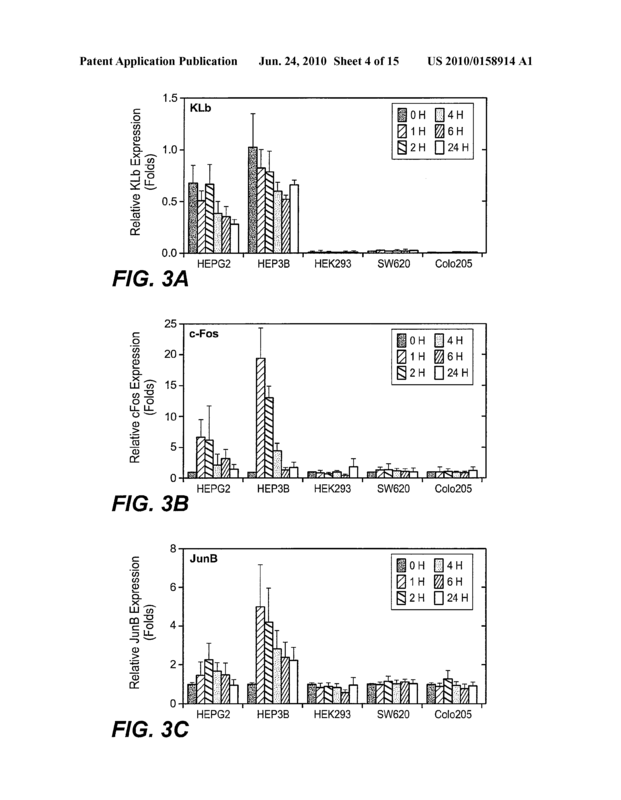 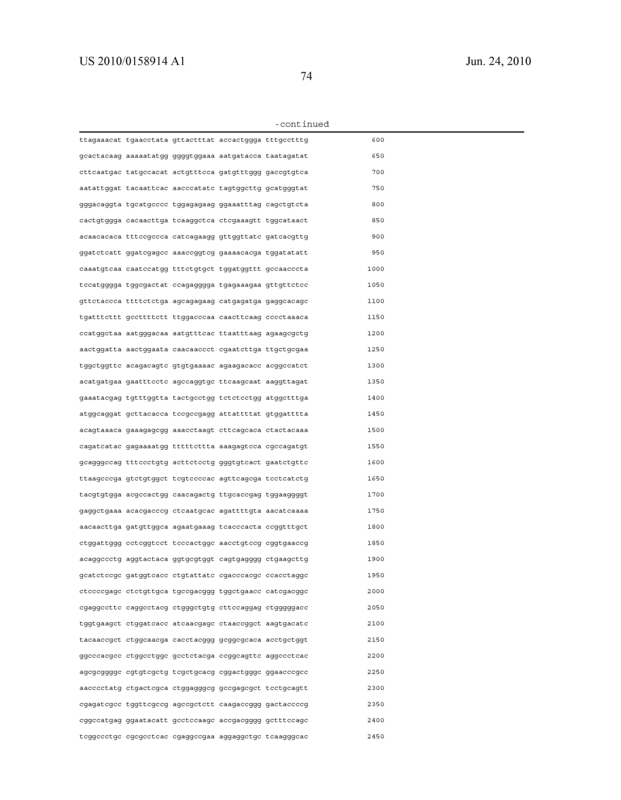 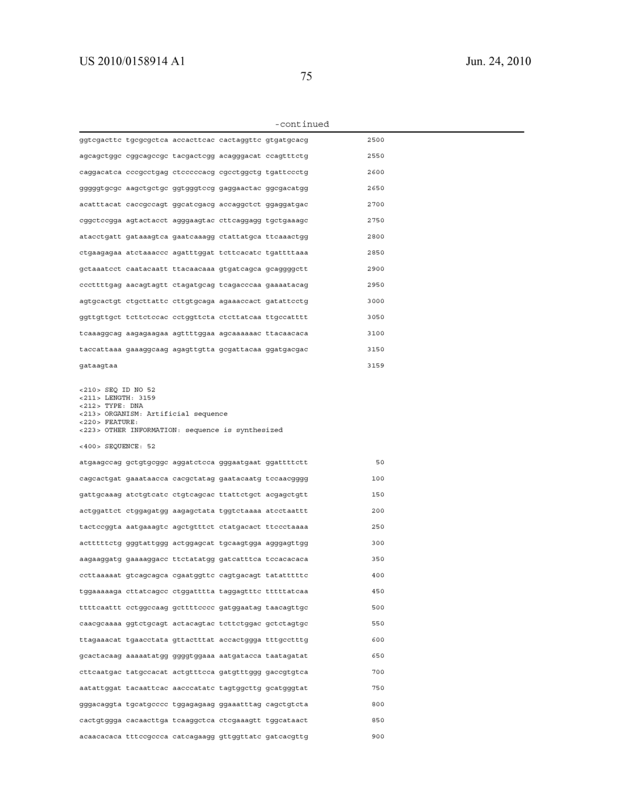 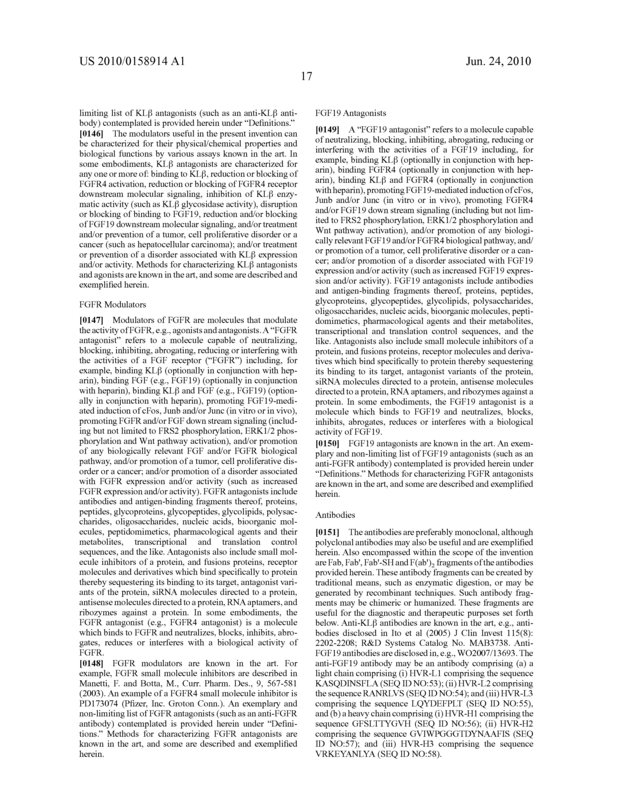 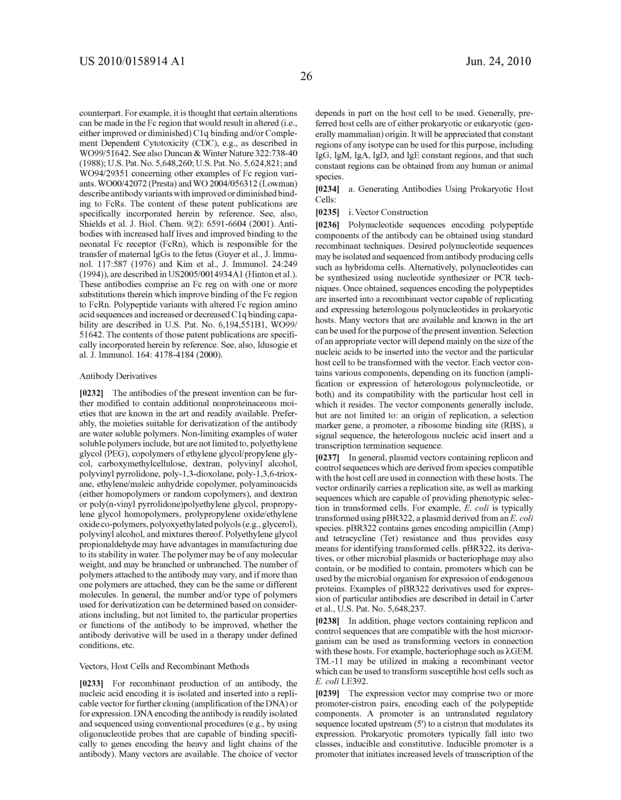 A method of identifying a candidate inhibitor substance that inhibits KLβ binding to FGFR, said method comprising: (a) contacting a candidate substance with a first sample comprising FGFR, FGF and KLβ, and (b) comparing amount of FGFR biological activity in the sample with amount of FGFR biological activity in a reference sample comprising similar amounts of KLβ, FGF and FGFR as the first sample but that has not been contacted with said candidate substance, whereby a decrease in amount of FGFR biological activity in the first sample compared to the reference sample indicates that the candidate substance is capable of inhibiting KLβ binding to FGFR. 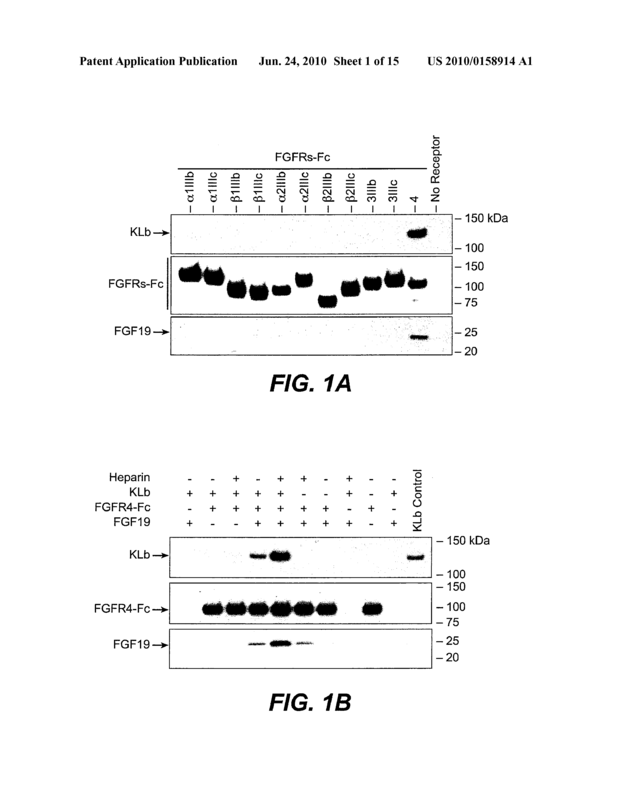 A method of determining whether a candidate substance promotes KLβ biological activity, said method comprising: (a) contacting a candidate substance with a first sample comprising FGFR and KLβ, and (b) comparing amount of FGFR biological activity in the sample with amount of FGFR biological activity in a reference sample comprising similar amounts of KLβ and FGFR as the first sample but that has not been contacted with said candidate substance, whereby an increase in amount of FGFR biological activity in the first sample compared to the reference sample indicates that the candidate substance is capable of promoting KLβ binding to FGFR.